Perhaps the biggest takeaway from the week is a renewed focus on the customer and word of mouth marketing. Savvy marketers have known for some time the importance of referrals and reviews in growing your business. But now the numbers tracked by HubSpot's CEO Brian Halligan are beginning to show that more of their customers were influenced to purchase HubSpot not by marketing or sales, but by a recommendation from a colleague. Growing a business takes a lot of work. That goes without saying. You also need tactics that work, whether you rely on inbound marketing, paid advertising, social selling or outbound prospecting. But hard work and great tactics is not enough. You need to think strategically about your growth. 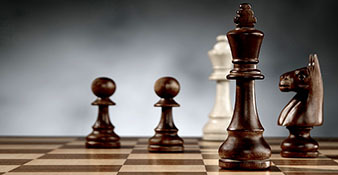 Without strategy, you'll be trying one tactic after another, hoping that one of them will work. 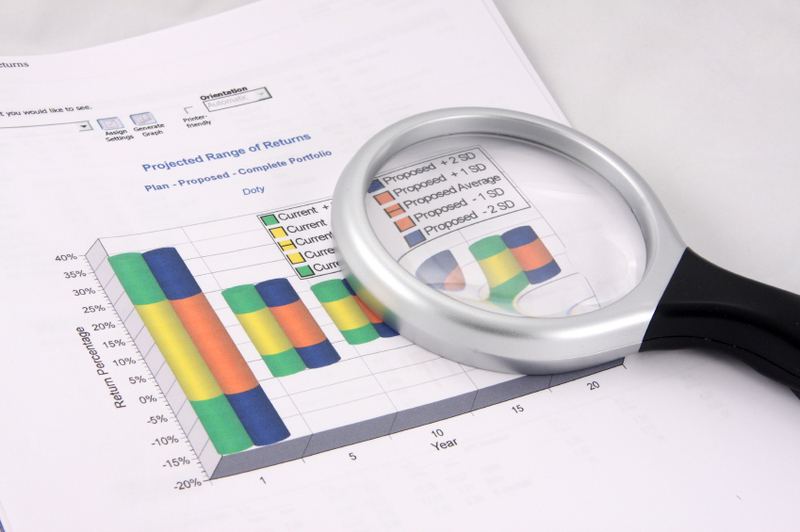 Some things will work, some won't, but without strategic planning and analysis, you won't know why. Even though social media marketing is popular with small businesses, there are still those who view it as a waste of time. And it can be a waste of time if you don't have a clear strategy in place to make the most the time you spend on social media sites. Ultimately, most business owners want their social media investment to pay off in traffic, leads and sales. Here are five steps you should follow to create an effective social media strategy for your business. 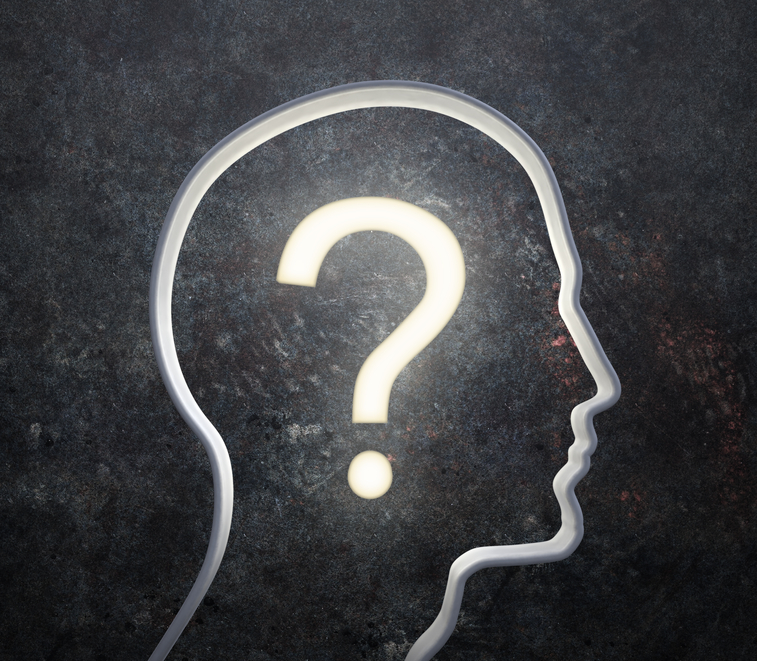 The Buyer Persona - How Well Do You Know Your Customers? If you are having trouble with people not opening your emails, visiting your website but not engaging then the problem most likely lies in your content. If you don’t take time to get to know your ideal customer, how can you be certain you are reaching them and providing them with information they need and want? A deep understanding of your customer’s persona will help you develop words, images and videos that will engage your visitors and lead to increased revenue. This is one of the fundamental components of an effective inbound marketing strategy. A Pepper Inbound Marketing, we work with business owners who are frustrated that they've spent a ton of money on marketing, but it hasn't generated results. Do you ever feel like that? 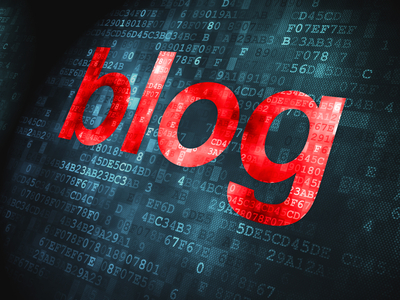 Blogging is an absolutely critical component of helping you achieve inbound marketing success. According to HubSpot data, companies that blog attract 55% more site visitors, and 97% more inbound links. In addition, companies that blog achieve 126% more lead growth than companies that don’t. How Well Do You Know Your Travel Customers? I've written about the importance of buyer personas before, but it's a topic that's worth revisiting. While most articles and checklists on the subject focus on your prospect's pain points, demographics, and roles, I think it's also valuable to take your prospects personality profile into account. Under the DISC® Assessment methodology there are four primary personality types: Dominant, Influential, Steady and Compliant. Most people are a combination of these, with one style that tends to dominate. 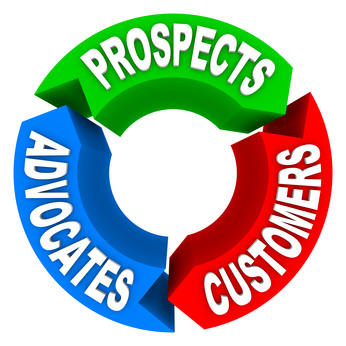 Knowing what style your prospects or customers are can be helpful in developing effective sales and marketing messages. But without giving each of your prospects a personality test, how can you tell what type they are? 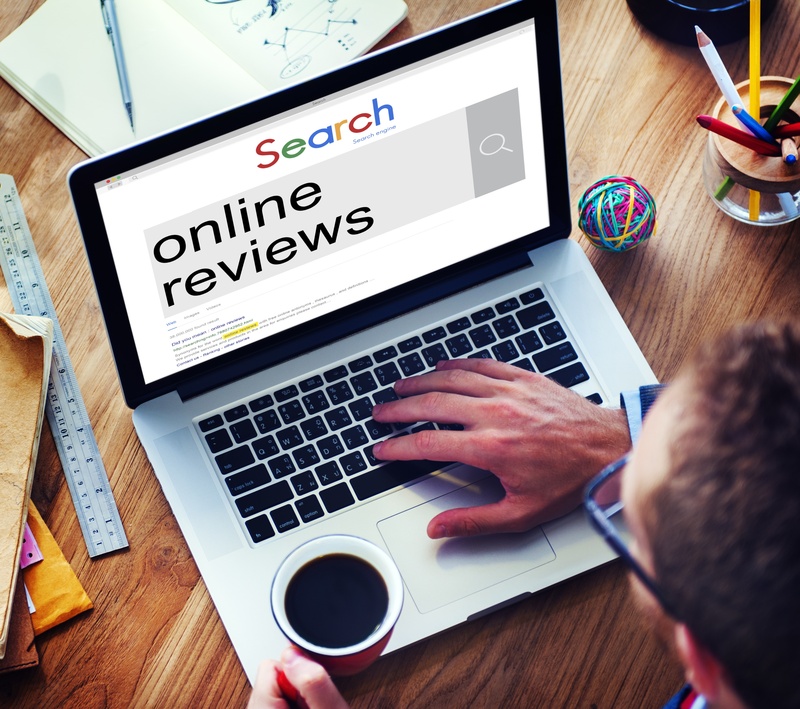 Having great reviews online is a great way to generate more traffic to your website, and ultimately more leads. Having lots of positive reviews can help your search engine ranking and make you more visible to your prospective customers. 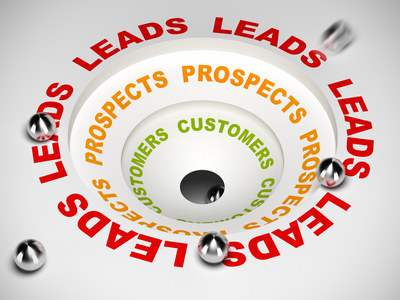 Do you have a good lead magnet that converts your website visitors into leads? 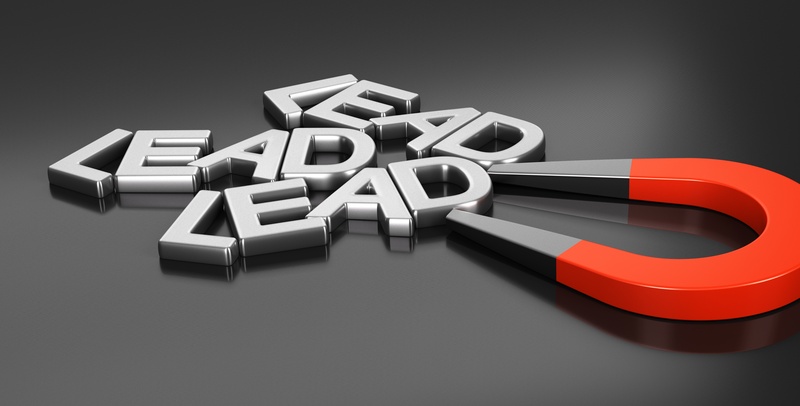 A lead magnet is a piece of content, a special discount, or other bribe that is perceived of high value by your target market. It has to be something that they want badly enough that they are willing to give you their name and email address in order to get. 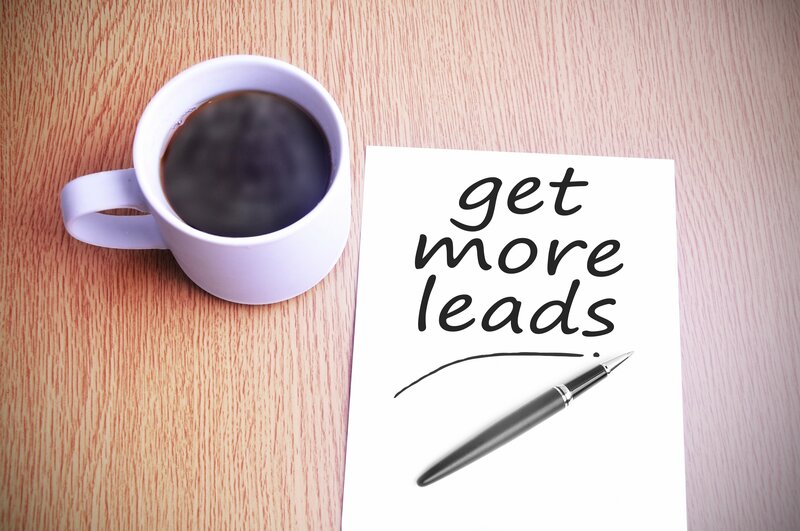 If The more irresistible your lead magnet is, the more of your visitors you'll convert into leads. Here are some examples of lead magnets used in the travel industry. Last week, a small travel agency owner asked me about using Facebook to generate leads for a group tour that her agency is hosting. Does it still work, even after the algorithm changes? My answer is yes, it still works, but you need to have several key elements in place to make this successful for your company. To better answer her question, I decided to write up a case study here that explains what's involved. 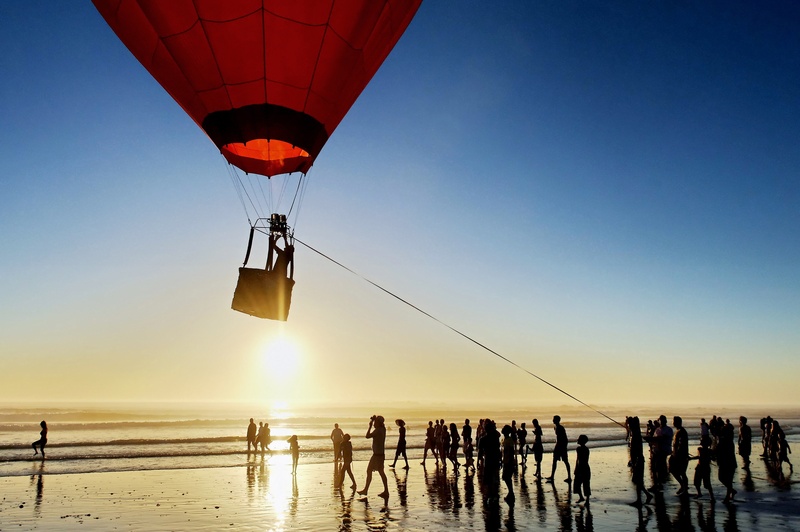 Can Inbound Marketing Help a Tour Company Grow 30% in 12 Months? I had an exploratory call with a prospect the other day. She's the owner of small tour company doing about $2.7 Million in sales, and she contacted me because she is looking for help with her marketing. As I typically do in these calls, I asked her some questions about her goals, and she told me her revenue goal for 2018 is to hit $3.5 Million, a 30% increase, but she wasn't sure if she was being realistic. Facebook is making more changes and while people do see our posts we don't know that so we can't check ROI on posts as much. I need help getting new actual leads/emails for my newsletter so that I can build a good non-FB audience. 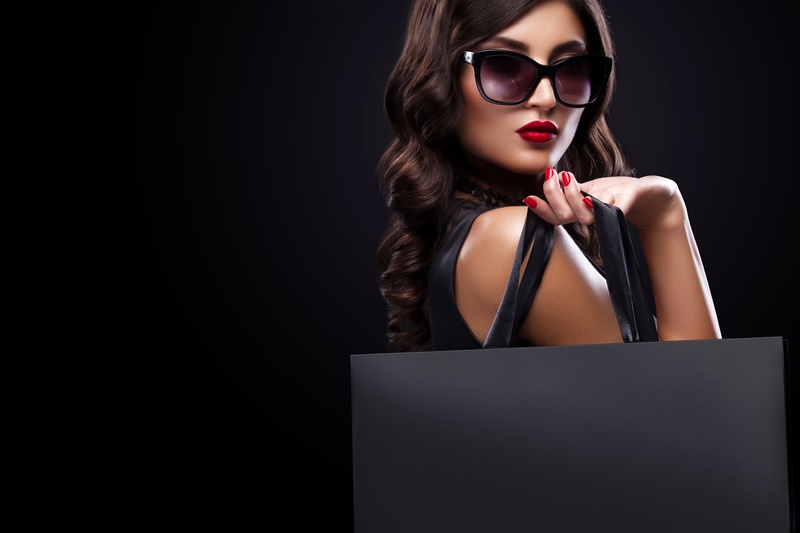 Black Friday Sales: Using Discounts to Meet Your Revenue Goals? With Black Friday around the corner, my email inbox is full of offers for discounts and specials on anything from clothes to online training courses. The travel industry is also participating, and I have already received black Friday offers from expedition cruises, luxury hotels, and even the fanciest luxury cruise lines. There are forty business days left in 2017. 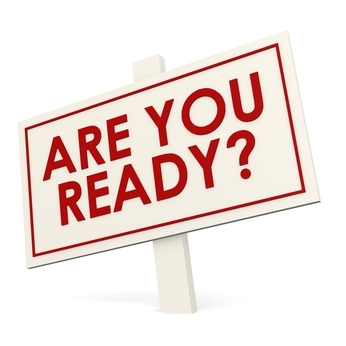 Are you ready to finish the year strong? Or are you ready to coast for the rest of the year, because you already hit your goals? Or are you behind and wondering where you're going to get the revenue you need to make your numbers? If you are setting travel agency marketing goals but not meeting them, it's probably one of these three reasons. 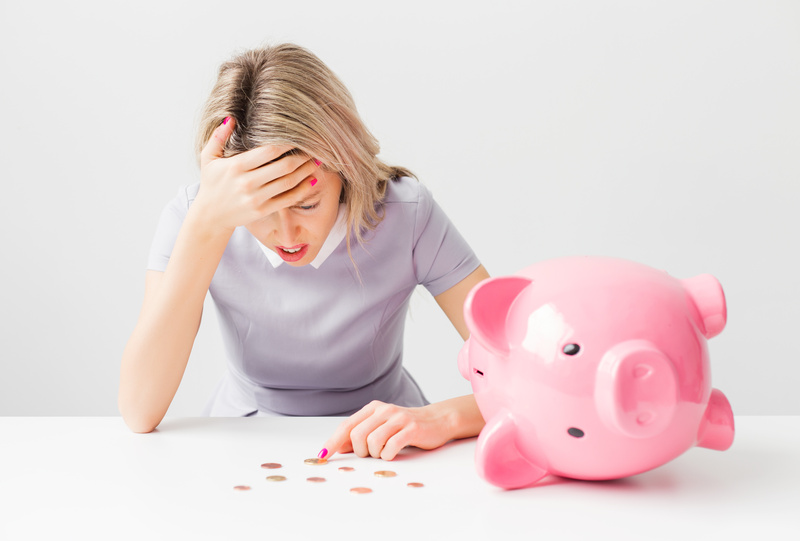 One of the most common mistakes 90% of my clients make is they don't charge planning fees, or those that do charge fees, don't charge enough. 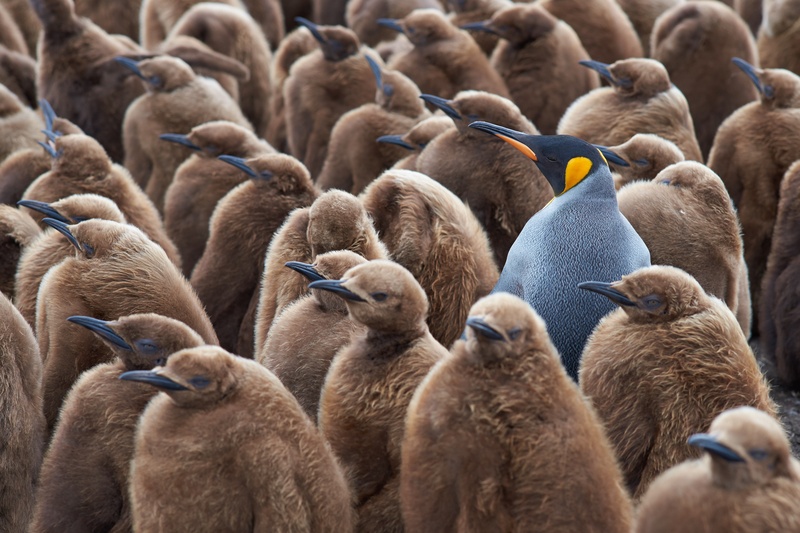 When you’re pricing your services based on what “everyone else” is charging, you’re undervaluing and it is highly likely you’re attracting bad clients solely because of your lack of adequate fees. If you run a travel agency with a staff of in-house or independent travel advisors, a solid website lead generation program can be a great way to attract and retain your advisors, as well as keep the ones you have busy with profitable bookings. But many travel agency websites lack meaningful lead generation components. In addition to adding new web pages to your law firm website and committing full force to blogging to attract more traffic, you’ll also need to create advanced content in order to convert more of those visitors into potential clients. Lead generation ideas for your law firm website could include checklists, webinars, reprints of articles, or other information that your target client might be interested in. 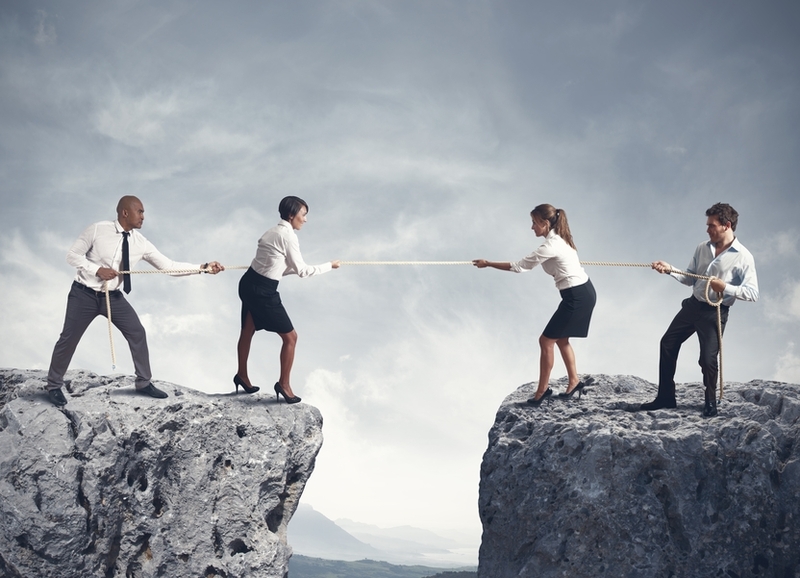 The Battle of Sales vs. Marketing: Who Do You Need In Your Business? As inbound marketers it is easy to get involved in writing blog after blog and get excited about generating leads and sending emails. But what are we really trying to accomplish? We are trying to collect these leads to sell them our products, which means we need to help these leads complete their buyer’s journey. Yet many times this can seem more like a battle of sales vs. marketing; let us use Lord of the Rings as an example of how this works and how we can change our perspectives. 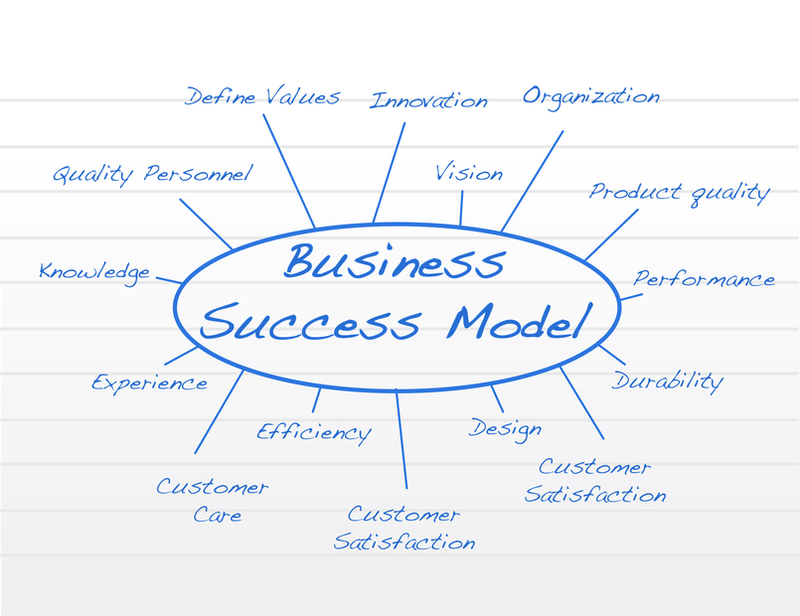 Why is Culture Important to Your Small Business Marketing Success? To build a company with a culture is to build a company you love, and this isn't just important for large businesses. 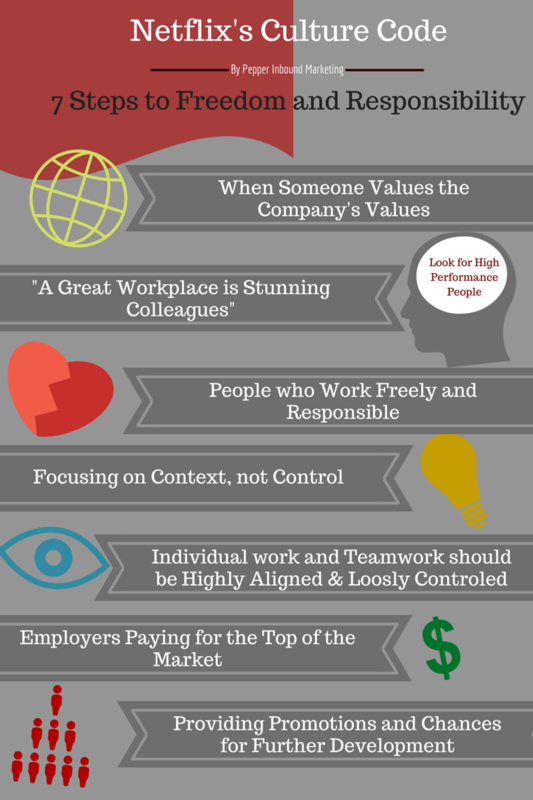 Your company's culture, that set of core values that you and your employees hold dear, can help you grow. 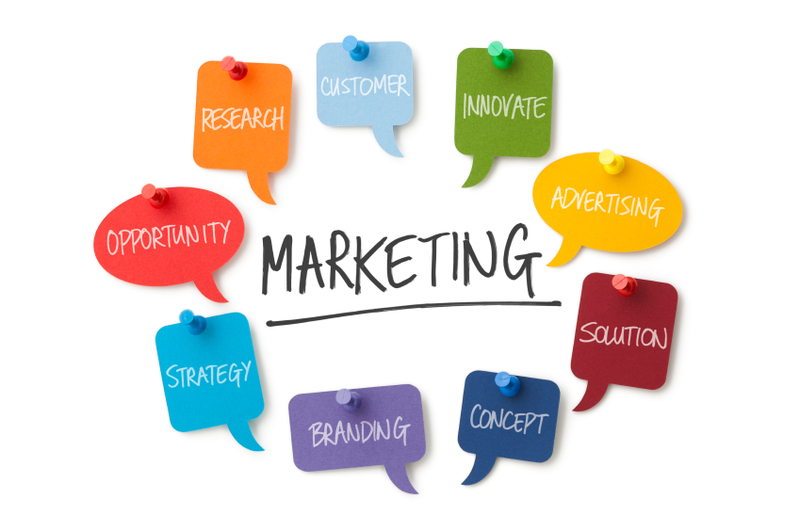 In marketing, we come up with strategies to attract our ideal customers to our products or services. We develop buyer persona profiles to understand them and their needs, and develop content to attract them to our sites. Your company culture will naturally influence how you do marketing, but it can be helpful to go further and use your company's culture code in your marketing as a way to differentiate your offering from your competition. Most of us want more clients, but we only want the right clietns, the ones who appreciate what we offer and are a joy to work with. When your marketing materials, branding and business strategy communicate your culture code, you will attract clients who share the same core values and who will gladly pay for the services you offer. In 2009, Netflix CEO Reed Hastings released slide-share post titled "Freedom and Responsibility Culture". In this he detailed what it means to work in at Netflix, and what their culture is like. This inspired Vice President of HubSpot Dharmesh Shah to make a slide-share presentation a few years ago on HubSpot’s Culture Code which provides a great example. Mindfulness was in the media quite a bit last year, in fact, many have dubbed last year the “Year of Mindfulness”. As people learn and adapt into this new way of life as more research comes out to support its power in the workplace and beyond. With the New Year upon us, it is valuable to take a look at the important of mindfulness in inbound marketing goal setting. One of the challenges small companies and law firms face when starting out with inbound marketing is attracting sufficient traffic to their websites. Finding the proper keywords, link building, writing endless webpages and hoping everything is optimized can be a strain. 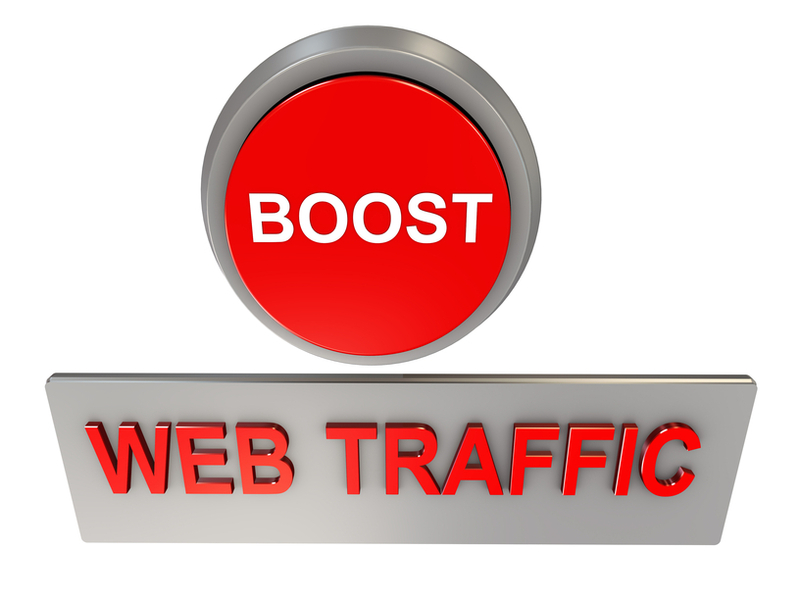 Here is what you need to do to get more website traffic in 2015. 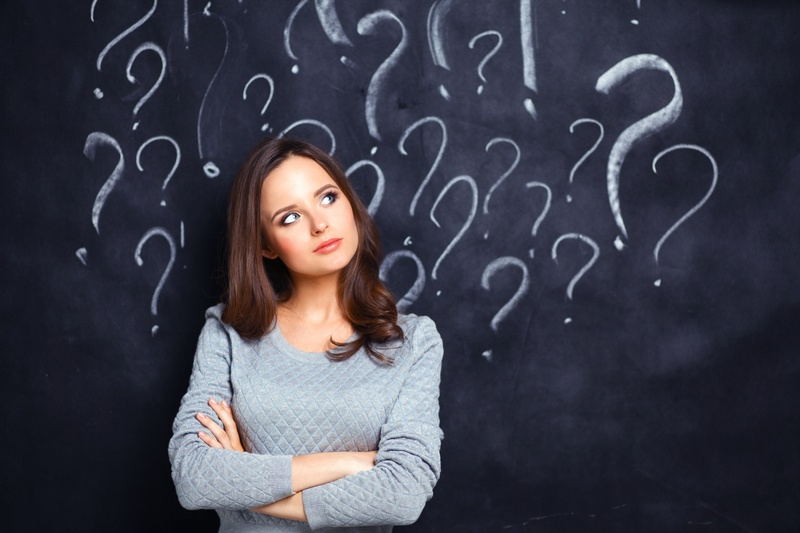 Inbound Marketing Answers: What's the 1 Strategy to Implement in 2015? If I could only implement one new marketing idea this year and I'm looking to get the biggest measurable ROI, what should I implement and why? 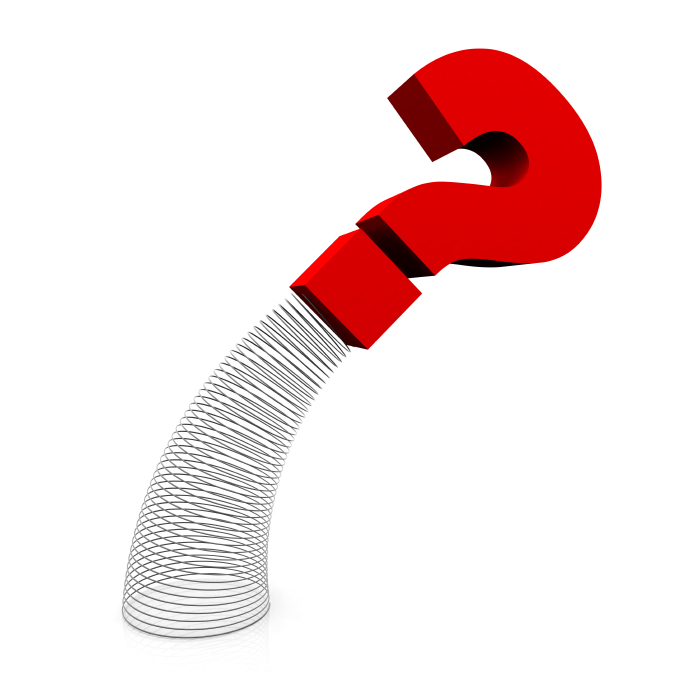 Do You Have a Question About Inbound Marketing? For 2015, I've decided to change the Pepper Inbound Marketing blog to a question and answer format and I am looking for your questions. Inbound marketing is all about attracting prospects to your business by creating the content they want to read. Our current blog strategy has involved us doing research about our buyer personas and trying to figure out what they want to read, then writing about it, and it has worked well. But, why not go a step further and make our entire blog about answering our readers actual questions? We expect this will make our blog content more interesting and valuable to our readers. 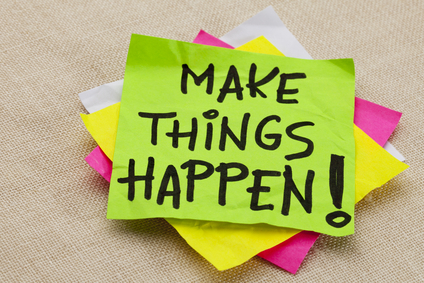 Join us for our December blog series- a month of Inbound Marketing Tips to help you make 2015 your best year yet. Each week we will offer you actionable inbound marketing tips. If you implement all of them, by the time New Year's Eve rolls around you will have your inbound marketing plan for 2015 built and ready to go! 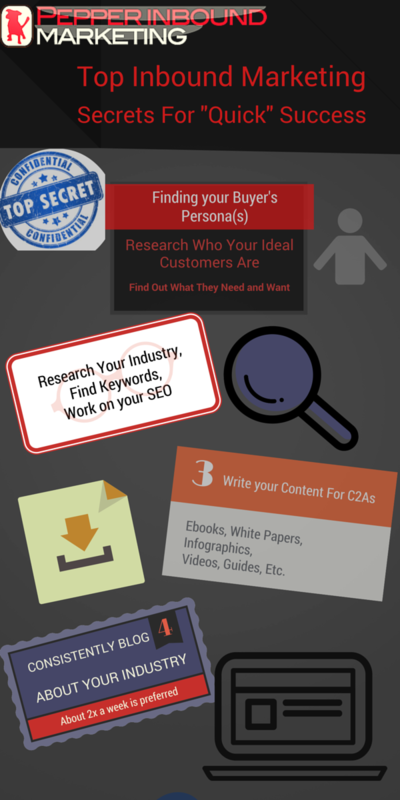 In this installment, we are going to to take a look at your company's buyer personas. 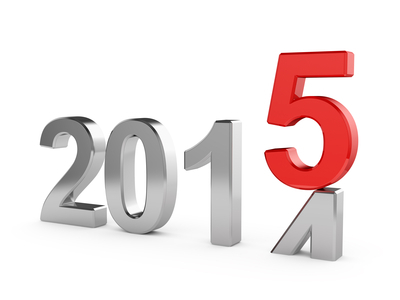 Join us for our December blog series- a month of Inbound Marketing Tips to help you make 2015 your best year yet. Each week we will offer you actionable inbound marketing tips. If you implement all of them, by the time New Year's Eve rolls around you will have your inbound marketing plan for 2015 built and ready to go! 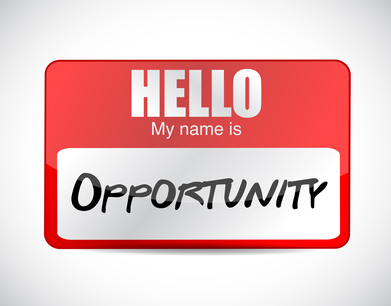 Does Your Business Need an Entrepreneurial Operating System? The life of the entrepreneurial business owner can be stressful. On any given day, you have lots of things to worry about. Are your employees doing their jobs? 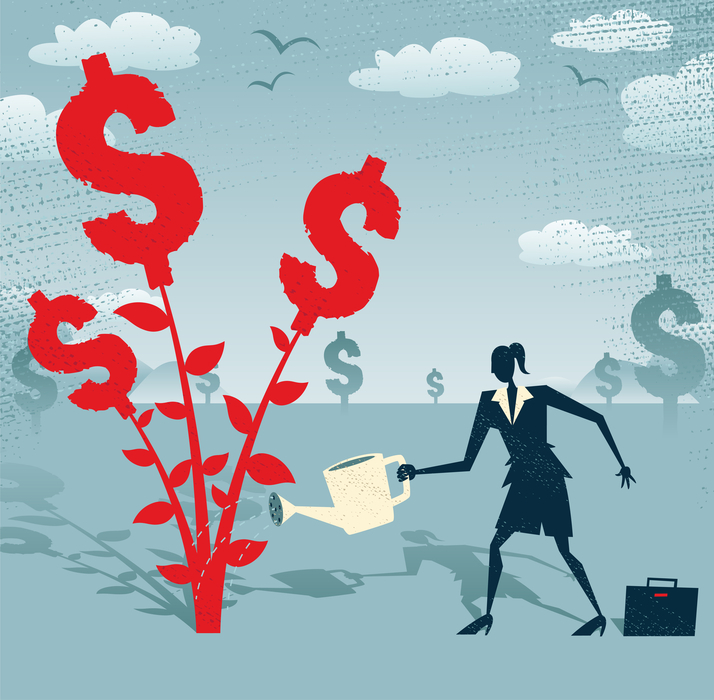 Is there enough money in the bank to make payroll? 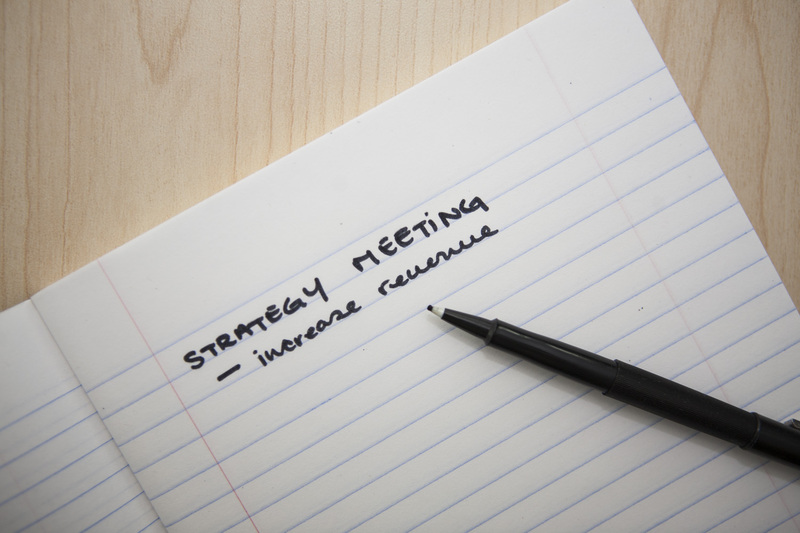 Are your revenues on track? 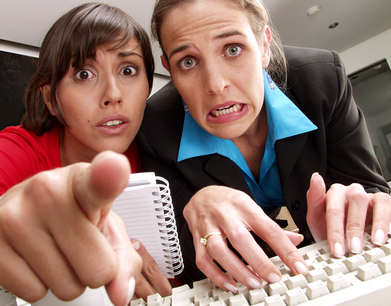 As you hire employees, this quickly gets worse until you are so frustrated you don't know what to do. How do you get your life back? And still make a profit? 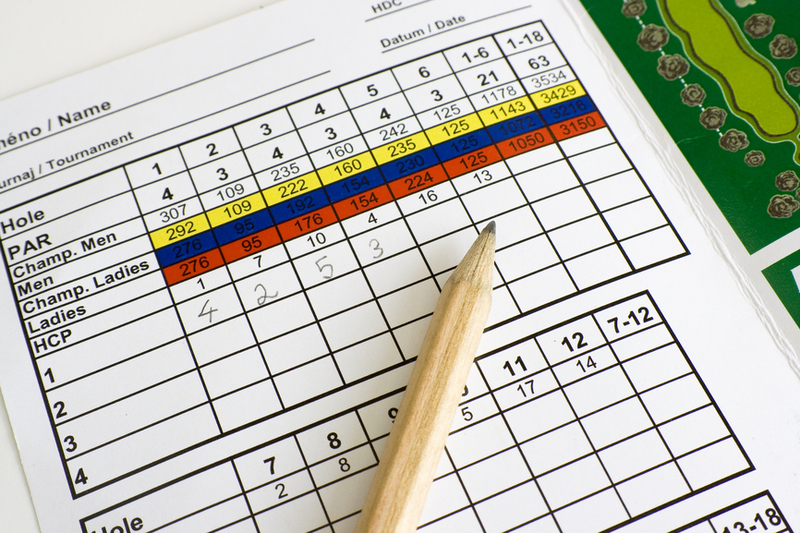 What's an inbound marketing scorecard? An inbound marketing scorecard is a set of leading indicators you can review weekly to see if your inbound marketing efforts are on track. These are the numbers that can help you track the effectiveness of your marketing plan at a glance. You can use a simple Excel spreadsheet to track these numbers each week against your goal and determine if your inbound marketing plan is working as hard as you need it to. 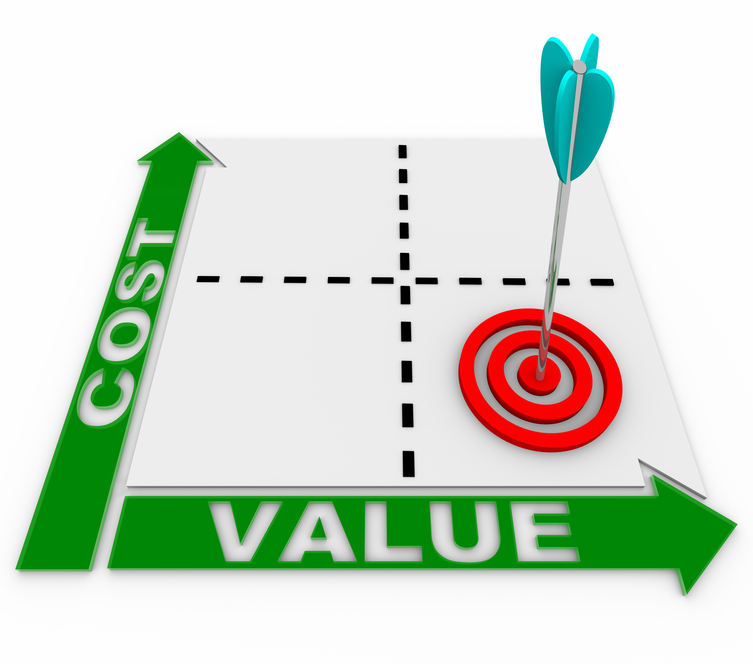 Should You Implement Value Based Pricing in Your Business? If you are consultant or other professional providing services to your clients, such as an accountant, marketing consultant, coach, or engineer, odds are you are using a combination or hourly billing or fixed fees with your clients. I recently watched a Webinar from Jason Blumer, where he discusses the benefits of value based pricing and how you an implement it in your practice. It has been one year since I implemented inbound marketing at SafetyPro Resources using HubSpot, and I want to give an in-depth review of my experiences with the software and with the inbound marketing process. It is my hope that reading this will give you an idea of what it is like to implement inbound marketing and what type of results might be feasible for your business. 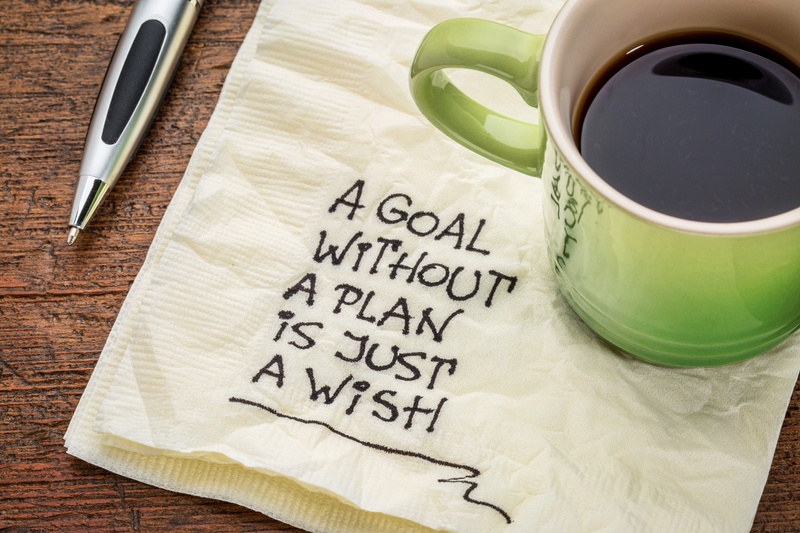 With the holidays upon us, we recommend you take some time to consider your marketing goals for 2015. Our handy inbound marketing calculator from HubSpot can help you out with this. You can download it here. This blog will take you step by step through the process of calculating a traffic goal for your website based on the amount of revenue you want to generate next year. 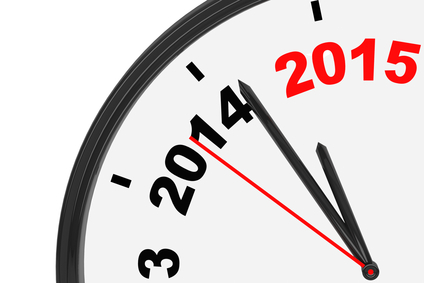 As 2014 winds down, it's time to start planning for 2015. Before you groan and hit the back button because you think this is going to be a tedious process, please read on. The process I am about to take you through will produce a simple, 1-page strategic marketing plan that you will actually use. This strategic marketing plan is based on the vision process developed in Gino Wickman's book, Traction. I love it because it is simple and helps you stay focused on the actions that drive results. To develop your own strategic marketing plan, just follow the steps below. Most visitors to your website are not ready to buy on their first visit. To capture these visitors and turn them into leads, we recommend you create offers and calls to action that offer your visitors information they need or want in exchange for permission to contact them via email. But once you have these leads, what do you do next? 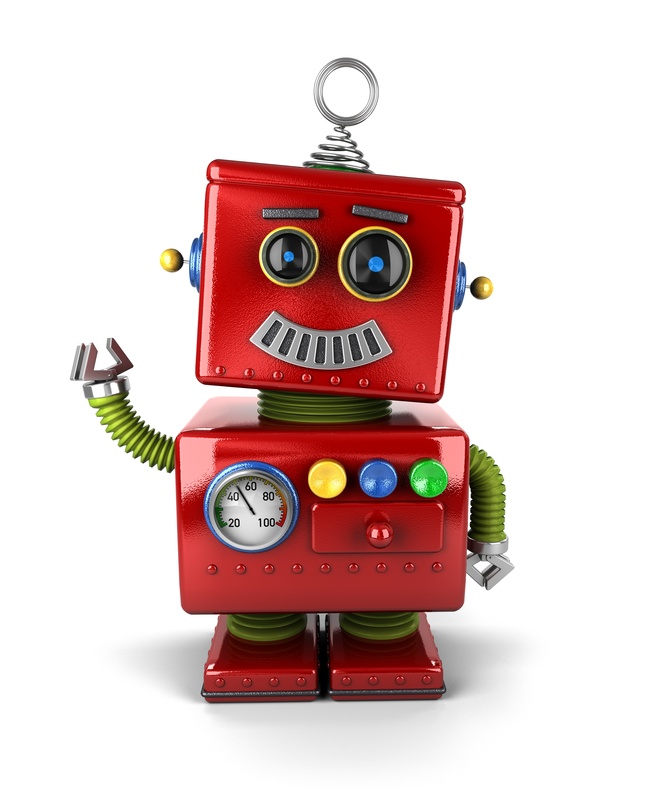 Is Your Company Ready for Marketing Automation Software? The purpose of marketing is to generate revenue by attracting prospects to your website, converting them into leads, and finally closing them as customers. 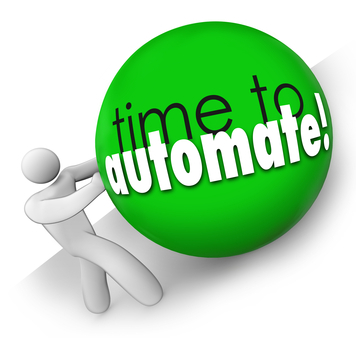 Marketing automation software, such as Hubspot or Infusionsoft, is designed to take care of repetitive marketing tasks, such as sending a series of emails to prospects, in an efficient way. This allows your staff to focus on more important things while your leads are automatically followed up with. The buyer's journey is the process a prospect who comes in contact with your website follows to go from awareness that they have a need or want, to consideration of possible solutions or options, and to finally making a decision to purchase the product or service you sell. 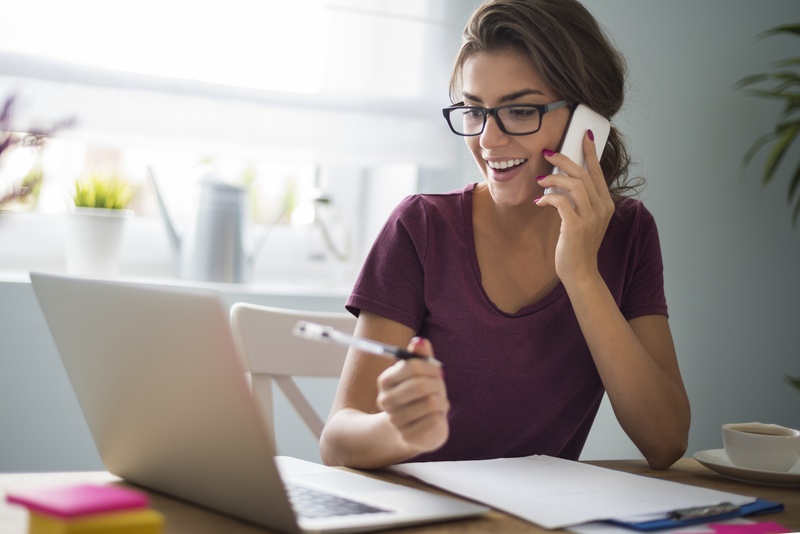 Understanding your buyer's journey can help you create effective offers that encourage your website visitors to become leads, and your leads to schedule appointments so that they eventually become clients. 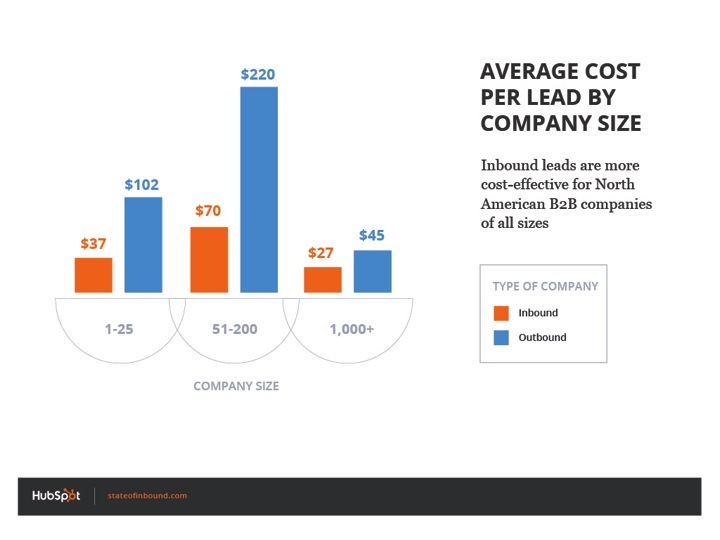 How Much Does It Cost to Implement Inbound Marketing? If you have been thinking about implementing inbound marketing at your company, you may be wondering what kind of investment is required to achieve results. The answer is not that simple, because it depends on your goals and on whether you outsource the entire thing to an agency, or do it yourself. But, in this blog post, I will attempt to give you some guidelines of what we do with our clients in Baton Rouge that might help you evaluate how much you need to budget to mount an effective inbound marketing campaign for your company. 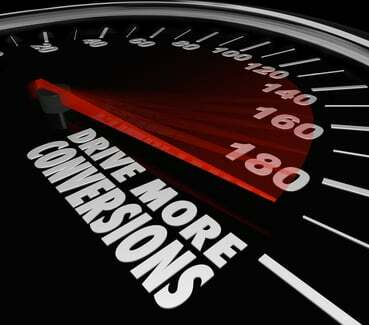 What is your website's lead conversion rate? Your conversion rate is the percentage of visitors who come to your site and fill out one of your forms to either request information or book a trip.The average conversion rate is about 1-3%, but companies that implement inbound marketing effectively can see rates as high as 5%. 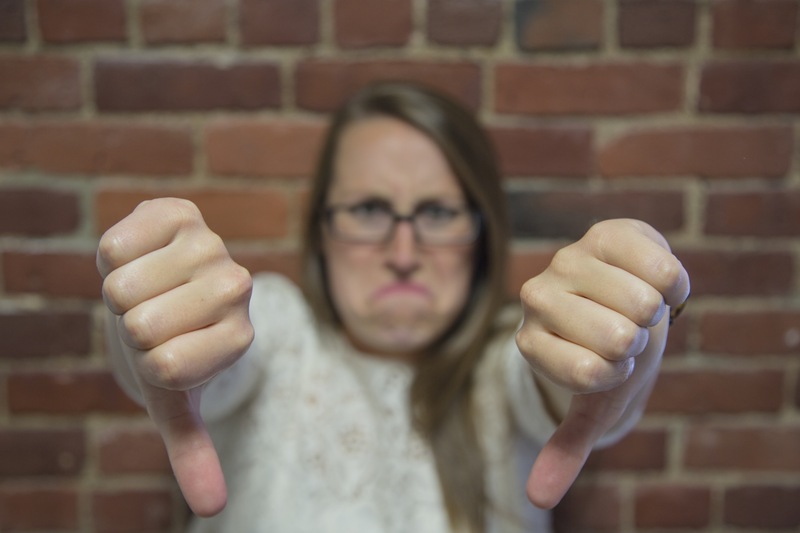 If your conversion rate is low, here are three common reasons why your website is not generating leads. So you want to start up a marketing plan, and have started blogging. You even have a few great offers and landing pages on your website. But, where are your visitors? If you have a new website, it can take some time to attract significant traffic, and a certain amount of patience is required. Learning how to attract traffic to your website is worth your time, because without traffic, you will never get the leads you need to grow your business. 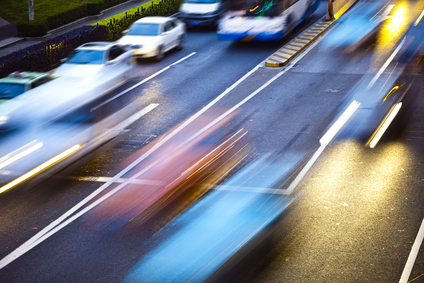 Here are some ideas for driving traffic to your website. 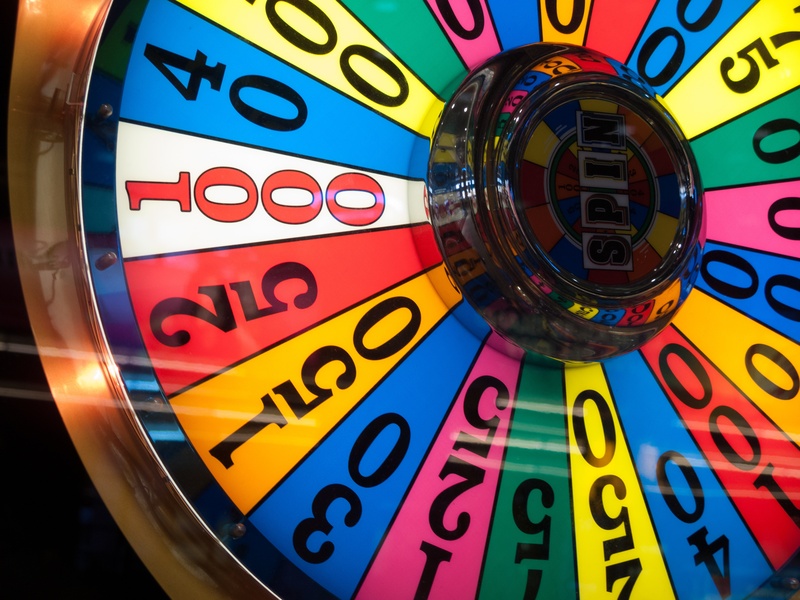 How Can Lifecycle Marketing Help Your Small Business Grow? 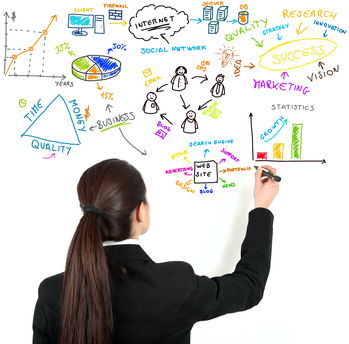 Developing an effective sales and marketing strategy for your small business can be difficult. Infusionsoft's Lifecycle Marketing model provides a simple framework you can use to attract customers, grow sales and deliver a "wow" customer experience. Developed by a team of sales and marketing experts at Infusionsoft, Lifecycle Marketing has helped thousands of small businesses grow. According to a study by Gleanster, when a qualified lead enters your marketing funnel, by downloading an ebook or other content on your web site, there is a 50% chance that they are not ready to purchase your products or services immediately. 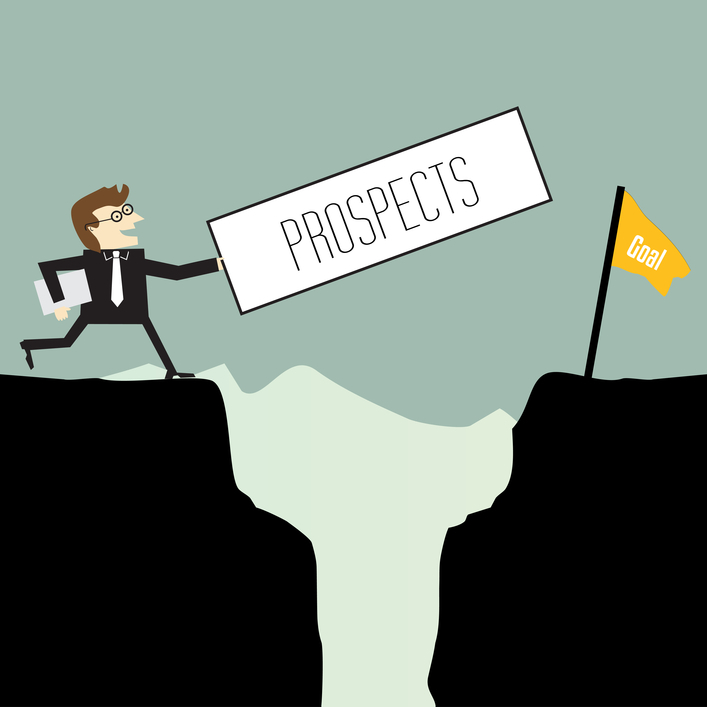 Your sales reps will follow up with all of your qualified leads, but what happens to those who are not quite ready to buy now? Designing and implementing an inbound marketing plan for your company takes a lot of time and effort, and many marketing directors choose to outsource this work to an experienced inbound marketing agency. With service agreements that typically start around $5,000 per month, and could go up to $10,000 or more, you should make sure that the agency you hire is the right fit for your company and equipped to give you the value you are looking for. The three primary goals of inbound marketing are to increase web traffic, increase lead conversion rates, and ultimately get more clients. 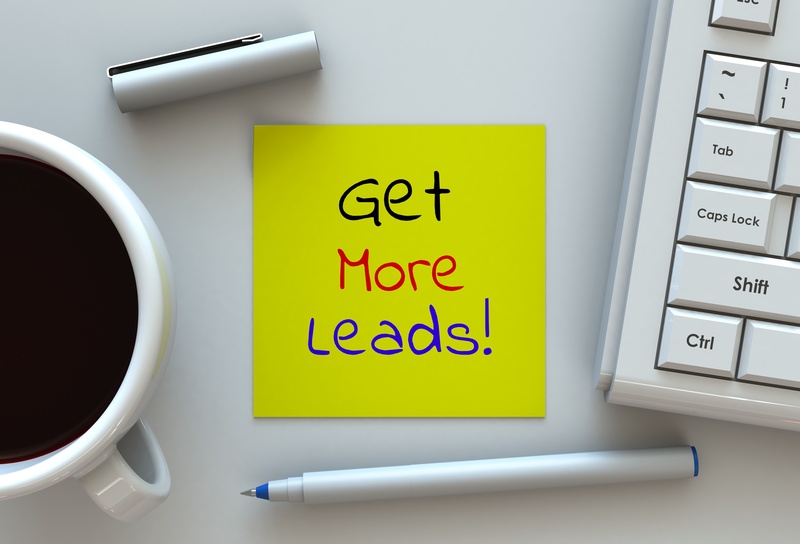 If your website is getting significant traffic, but less than 3% of your traffic is converting to leads, here are some tips for improving your lead conversion rate. Buyer personas are fictional, generalized descriptions of your ideal customers. They help you understand your customers and tailor your marketing to the specific needs, behaviors, and concerns of different types of customers. Creating buyer personas is a time consuming process, but one that has been proven time and time again to improve your company's marketing results. 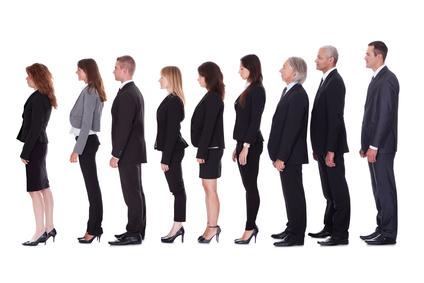 Here are our best practices for creating and using buyer personas in your inbound marketing. 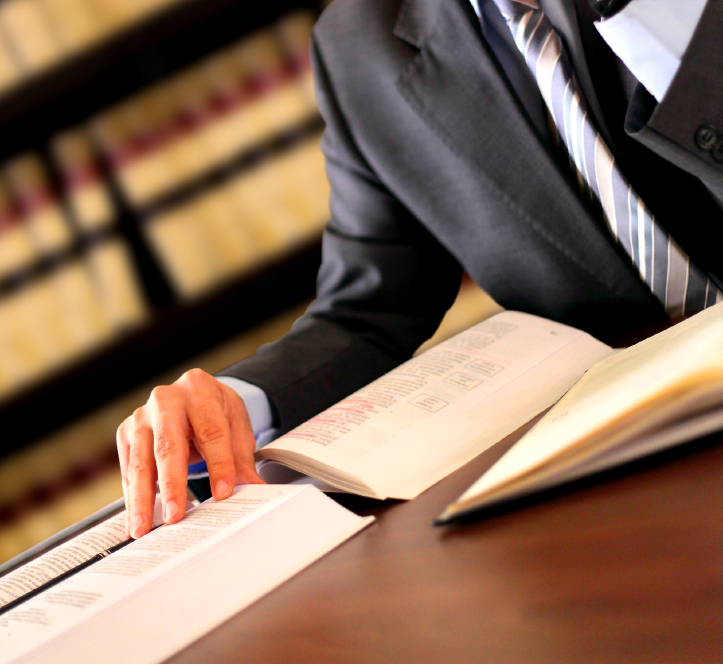 Creating an effective law firm marketing website requires careful planning and execution. 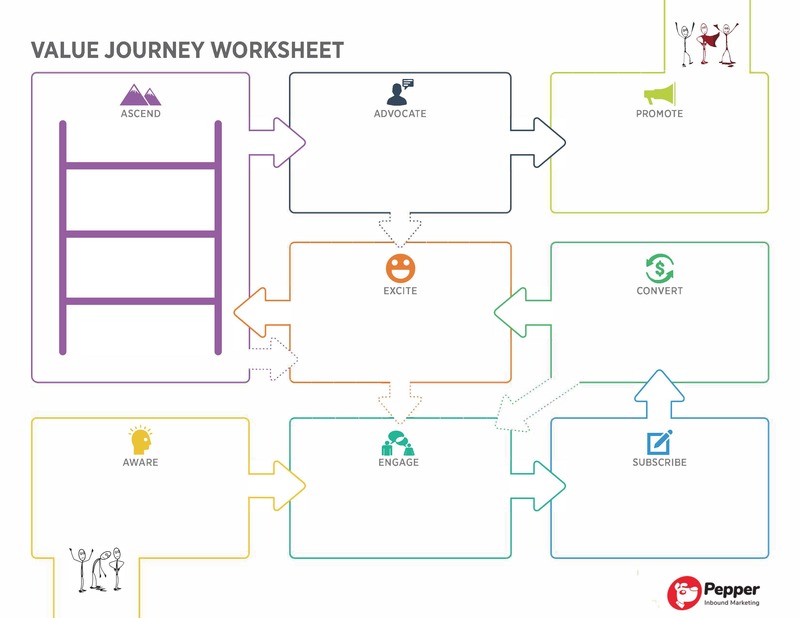 Many marketers want to just jump into the building phase. But without the proper strategy, it is going to be difficult to end up with a website that meets your firm's goals. As a marketing director or owner of a law firm, you should follow the steps below to get the best return on investment from your law firm's website. A lot of law firm marketing directors and CMOs are using content to promote their firms. According to the 2014 Digital and Content Marketing Survey from American Lawyer, 84% of law firm CMOs are planning to increase the amount of content they produce for their firms. CMOs see content marketing as a way to demonstrate the law firm's thought leadership in their practice areas and industry, build brand awareness, and increase exposure for individual attorneys at their firms. As I mentioned in my last post, law firms who are trying to connect with in-house counsel need to be on LinkedIn. 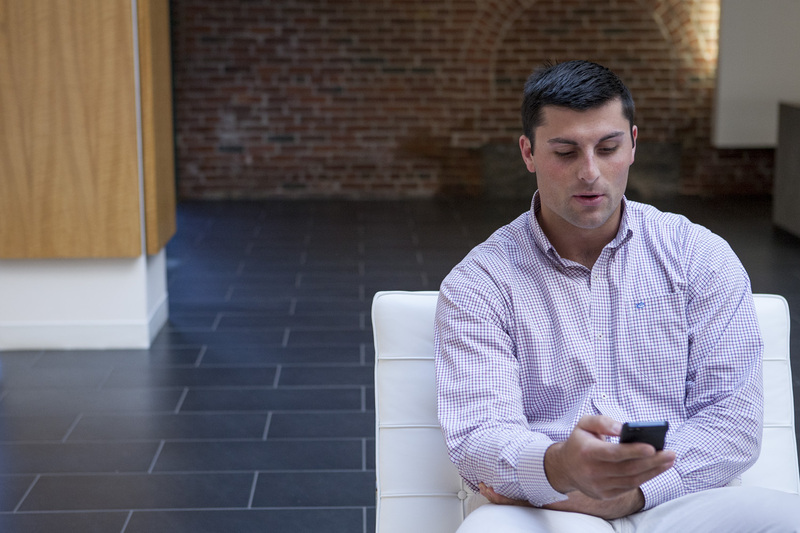 Here are some tips to help you make the most of your LinkedIn profile and how to use it to help connect you with your ideal target clients. According to the 2014 State of Digital and Content Marketing Survey, law firms have a big opportunity to reach in-house counsel using inbound marketing strategies. The survey included 189 corporate counsel who self-identified as General Counsel, Chief Legal Officers, Deputy General Counsels, In-House Counsel, and related titles. The results provide key ideas for how your law firm can reach in-house counsel with inbound marketing. When you start an inbound marketing campaign, everyone is excited. But after a few months of blogging, emails and creating content, it is easy to let things slide. Blogs start not getting done on time, meetings get postponed or canceled, and content projects get mired in review and progress stalls. Without the content, there are no results, and after a while, everyone starts to think that inbound marketing doesn't work. This leads to a downward spiral that ends badly for the marketer who recommended inbound marketing in the first place. 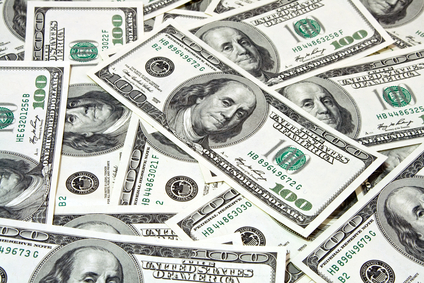 How Much Should You Spend on Inbound Marketing? Do you have a marketing budget for your business? Many small business owners don't. But without a plan, or a strategy, your marketing dollars could be wasted on strategies that don't work. But how do you know how much is reasonable? 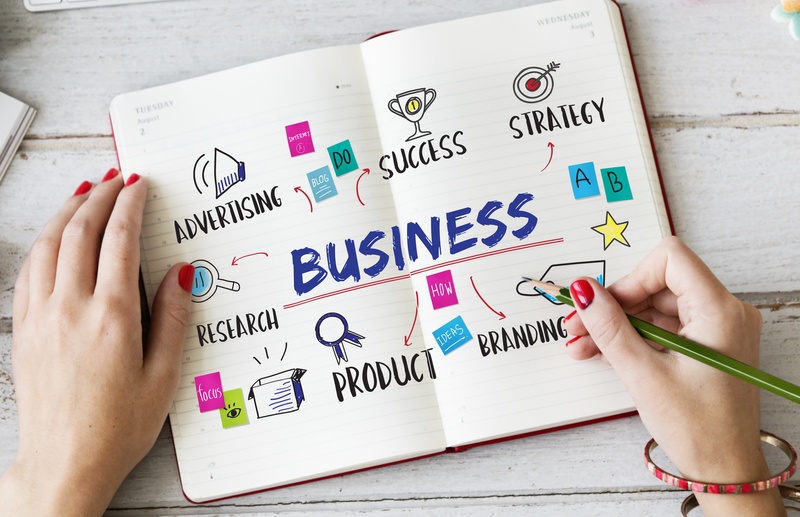 As a rule of thumb, the Small Business Administration recommends that small businesses with revenues of less than $5 million allocate 7-8 percent of their revenues to marketing. However, if you are start-up trying to quickly build up your sales, you may have to allocate 10-12% or your revenues. If you are frustrated with your small business's marketing results, but aren't able or willing to outsource the entire project to a marketing agency, a marketing coach might be exactly what you need to help you get back on track. If you are doing all of your inbound marketing yourself, but having trouble making things happen, a coach can help you set goals, make a plan, and hold you accountable. Many small businesses are under constant pressure to conserve cash and lack the robust marketing budgets of their larger competitors. How can you compete, especially when you are just starting out? Here are my top 10 low cost marketing ideas for small businesses who want to grow without spending a fortune. We always get a lot of questions about Facebook business pages, so we developed this short list of best practices. 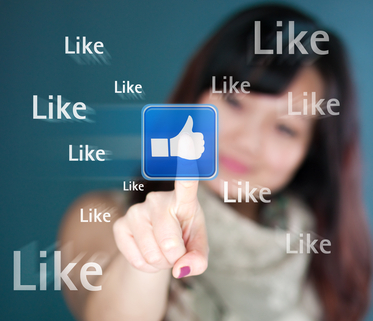 Here are eight ways to improve your business Facebook page. 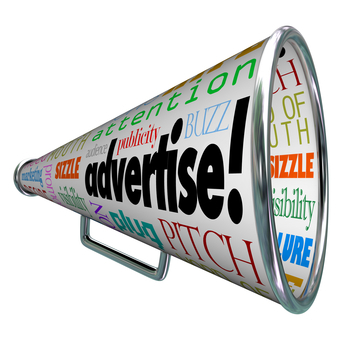 You have probably noticed that there seems to be no such thing as free advertising on Facebook anymore. As the average user's news feed becomes more and more crowded, the likelihood of a given fan of your business page seeing your updates is shrinking. "At any given moment, there are approximately 1,500 News Feed stories competing against one another. 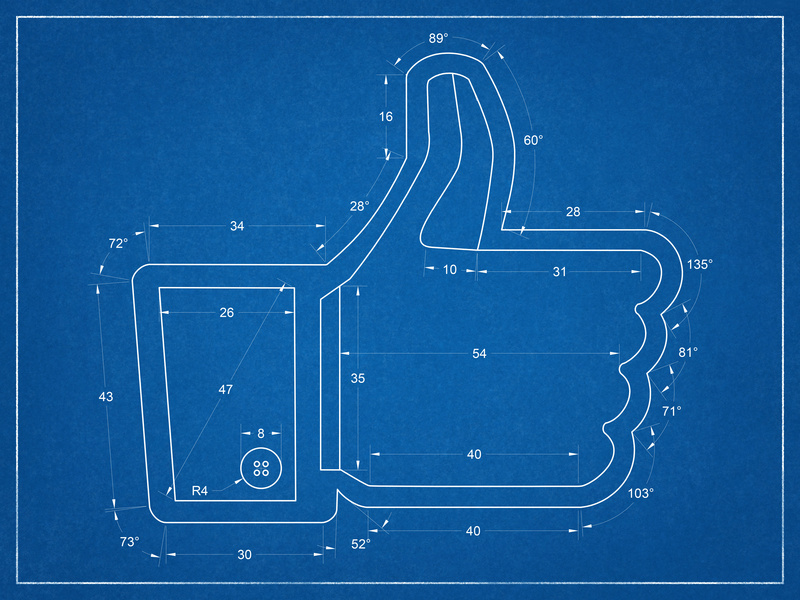 Facebook’s algorithm prioritizes only about 300 – one fifth – of them. The brands that want to get noticed have to pay to play." Hubspot. 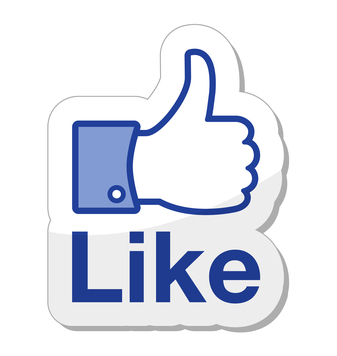 To get more "Likes", you need to make your Page and your posts easy to discover both online and off. 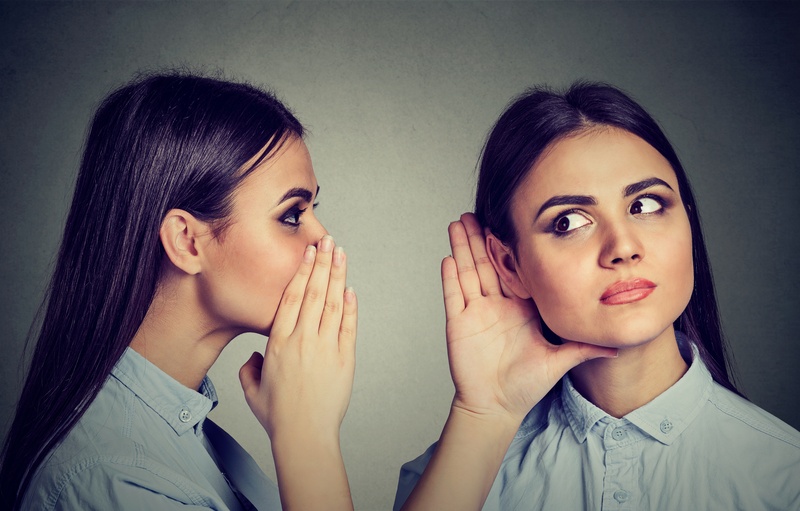 No one can connect with you on Facebook if they don’t know you exist, so let’s talk about 5 ways to grow your Facebook fan base. requiring people to like your page to access certain content on your Facebook page. People are getting updates in their Facebook news feed from companies they don’t really care about. Companies end up with Likes from people who are not really their target market. 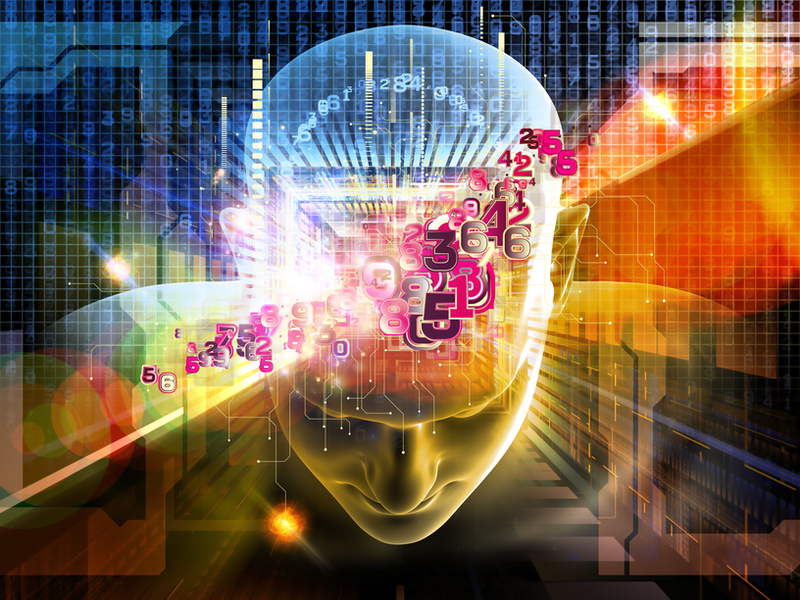 Is Your Company Ready for Contextual Marketing? Contextual marketing, or website personalization, is the next big thing in the world of online marketing. This strategy allows you to automatically change the content shown on your website based on the characteristics of the person viewing it. Big companies like Amazon have been doing it for years, but marketing software now makes it possible for smaller businesses to implement. But, like most elements of online marketing, contextual marketing isn't something you should just jump into. 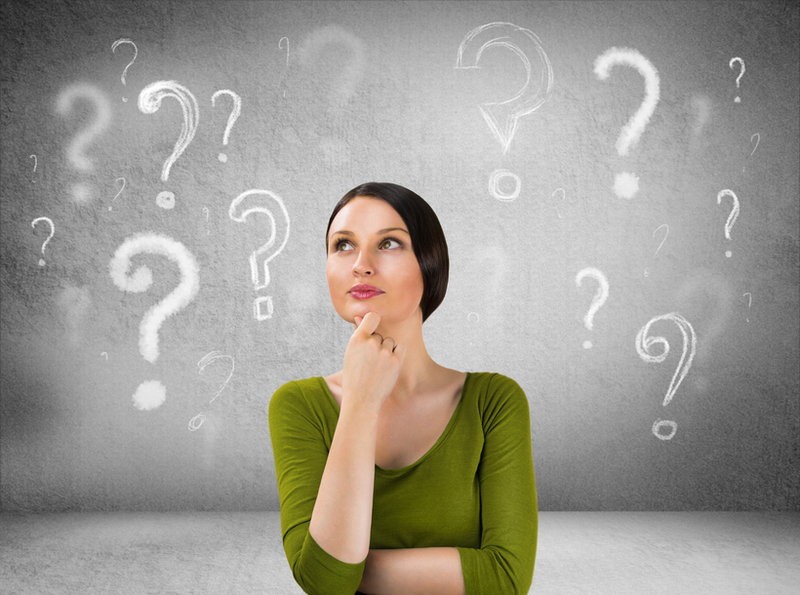 Here are some questions you should ask yourself before you take on contextual marketing. When your potential clients land on your homepage, what do they see? Do they see content that is personalized to them, or generic web copy that is designed to appeal to everyone? Sophisticated marketers realize that when you try to appeal to every possible buyer, you end up appealing to none. 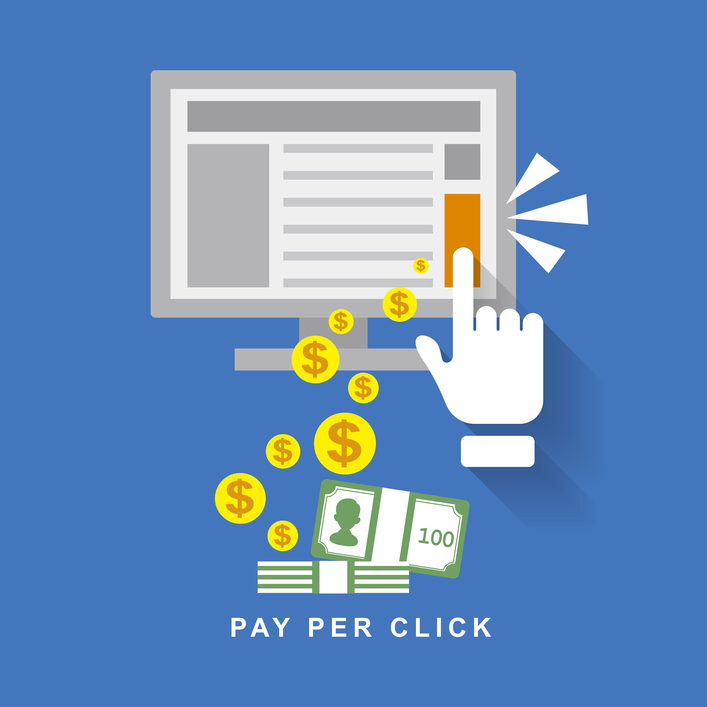 In the world of inbound marketing, pay per click (PPC) advertising is a bit controversial. Our goal is to attract, not interrupt, our prospects. Buying ads seems almost like cheating. It's expensive, and it doesn't create lasting improvements to your website rankings the way blogging does. It is a temporary fix. But there are times when pay per click ads make sense. Our client Roux Wine Tours is an example of when pay per click ads might be a good idea, so we have decided to make them a PPC case study for our blog. 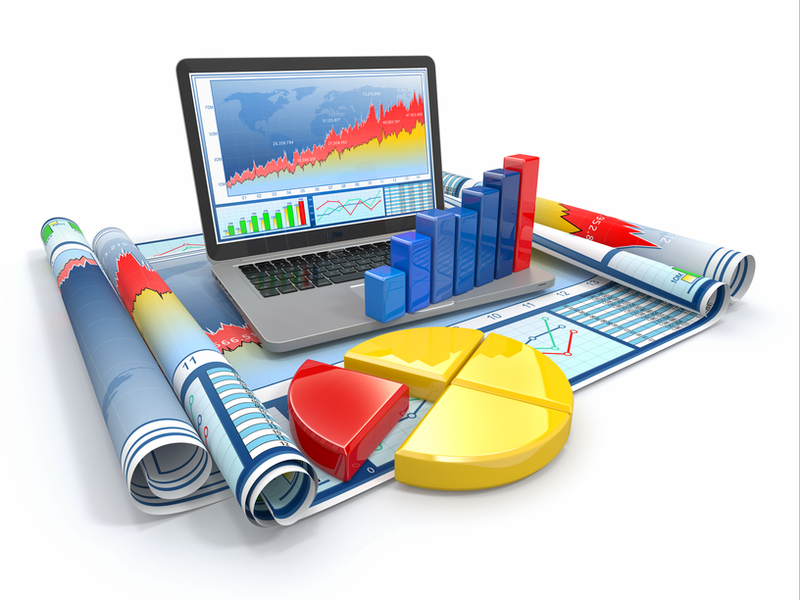 What Analytics Should an Inbound Marketing Agency Provide? 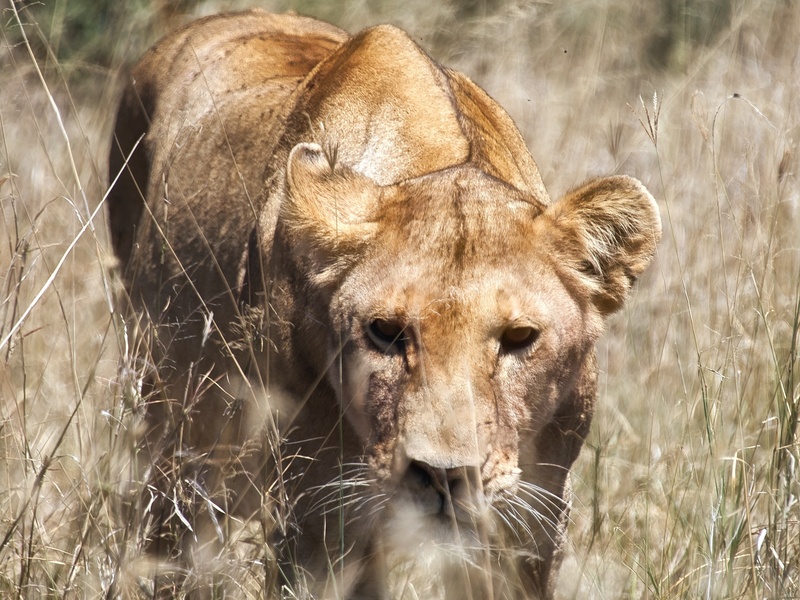 Trusting an outside agency to handle your company's marketing can be scary. There is usually a large expense involved, and there are no guarantees. So how do you make sure the agency you hire will actually help you meet your goals? On the internet, everything you do can be measured against your goals. 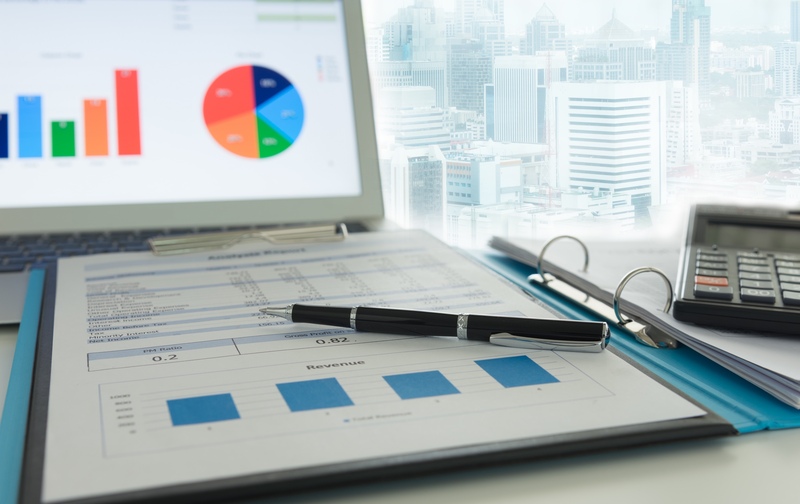 The best marketing agencies will embrace this accountability and track the results of all of your campaigns, providing regular performance reports to you. 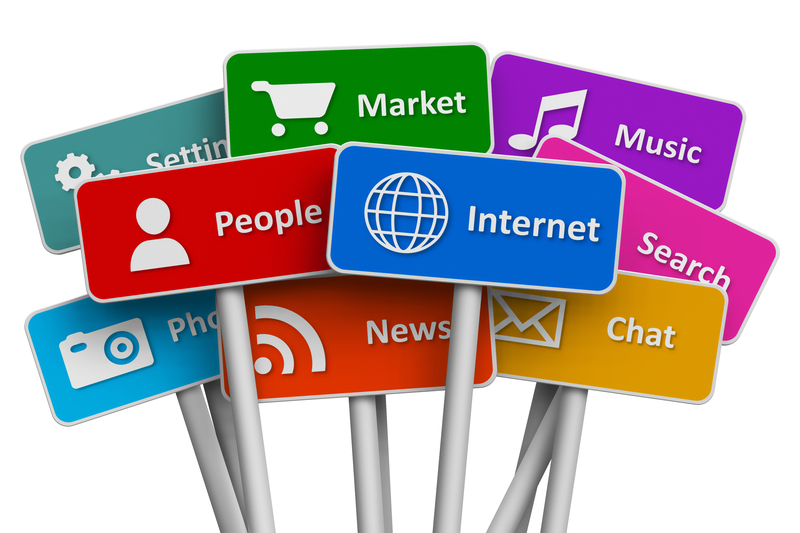 Social Media is hot topic, and we get a lot of questions and requests for social media help from potential clients. These days everyone is on Facebook, LinkedIn and Twitter, and many of our clients actually drive traffic, leads and sales from their social media posts and interactions. 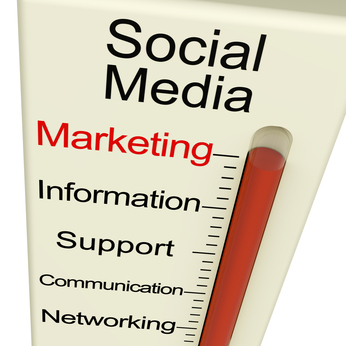 So I am not surprised when potential clients ask us about social media marketing. To make the most of the time you spend marketing your business on social media, it is helpful to write a social media strategy. Here's how you can create a quick social media strategy to organize your marketing efforts. Write a summary of your brand image. Understanding your brand may seem like a given; and it is. When developing any kind of strategy it’s important to think about your brand image so that your messages stay consistent. For social media specifically, you are going to develop so many small messages that there will be a high vulnerability for misrepresentation. As some of you know, when I am not marketing, I am busy traveling. My other business is a travel agency called Roux Wine Tours, where I specialize in planning wine and food focused vacations to some of the most beautiful wine regions of the world. I have been running Roux Wine Tours for just over a year, and using a hodge podge of marketing tools such as Constant Contact, Google Analytics, and social media platforms to develop a an inbound marketing campaign to attract wine lovers to my website. Up until 2009 individuals were known to keep web logs that were journals about personal subjects and opinions. Eventually the web log has morphed into what we now call a blog and has become more than just individuals talking about food, babies, fashion, a day in the life of someone. In recent years the blog has become a powerful marketing tool for professional firms and consultants. If you are a professional, you need to blog. There is a lot of information out there and the things you should be doing to improve your online marketing campaigns. And it seems that every day marketers are bombarded with new things to do to improve their marketing results. But as your time and budget are stretched thin, it is important that you spend your time and money on the right things. Last week on the blog, I covered contextual marketing and why it is so powerful. In this post, I will go over how to implement contextual marketing. Your website is the primary tool for your inbound marketing efforts, and your blog posts, email campaigns, social media posts, pay-per-click and other online advertising drive traffic to your website. Your website traffic may include new visitors, existing leads, established customers, referral sources and even potential employees. If your website home page is generic, or designed primarily as a sales tool, some of your visitors will not find what they are looking for quickly and move on. When you make your website contextually responsive to each of your visitors, your marketing results will improve, because you will automatically show the right content to the right visitors at the right time. The best marketers understand that whether you are working online or off-line, marketing is about people. 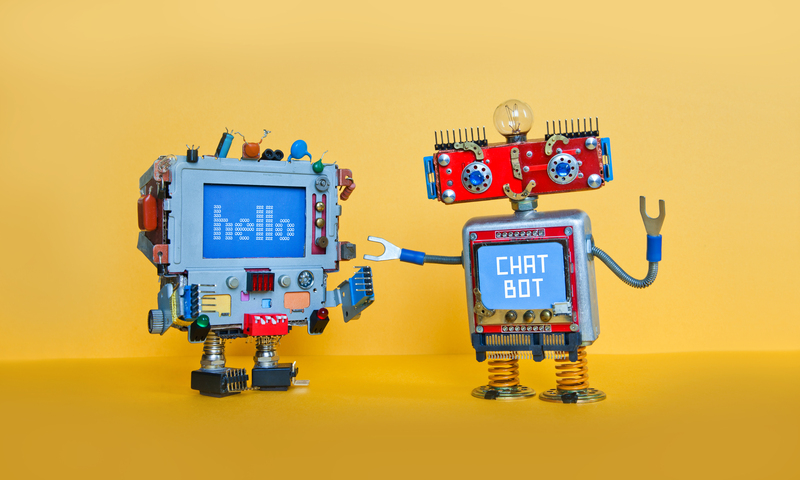 To be able to earn the sale, and get a new client from your website, you need to form a relationship that feels like a one-to-one exchange, but that can be scaled through the power of automation. Because inbound marketing is about people, our inbound marketing process starts with developing the buyer persona. Only after we understand the traits, fears, hopes and dreams of our buyer persona do we go on to create content that will attract him or her to our website. 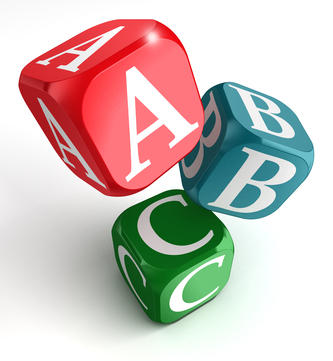 Evaluating Inbound Marketing Software- What Do You Really Need? In order to effectively do inbound marketing for your business, you will need software that can help you manage the following tasks. The following is a checklist of features you should consider when evaluating inbound marketing software for your business. 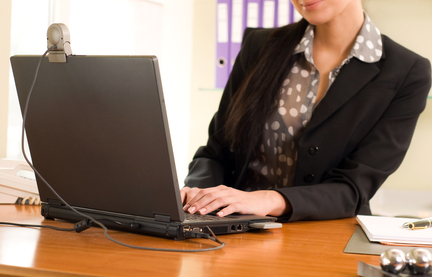 What Skills Do Great Inbound Marketers Have in Common? 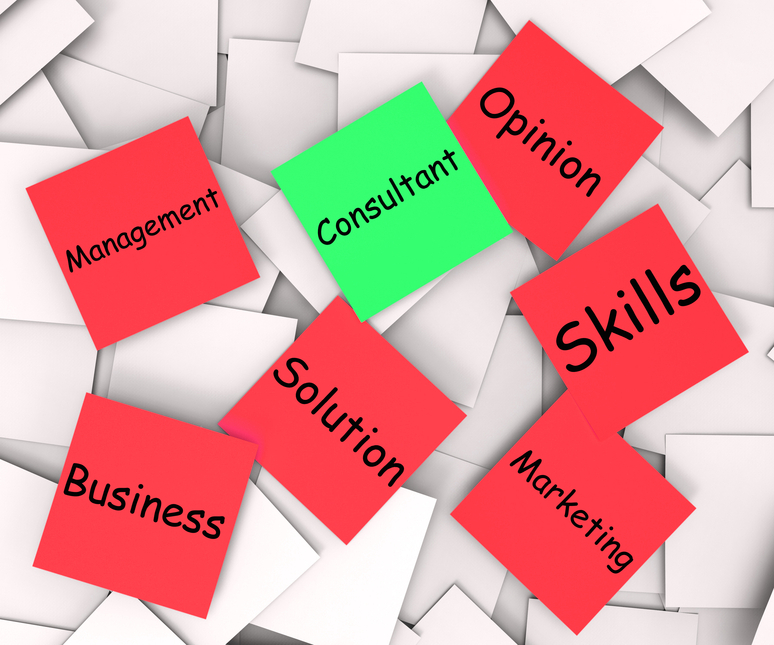 Inbound marketing requires skills that you or your organization may or may not possess. Your organization may also need to develop new skills. You may be able to achieve your sales and marketing objectives more effectively by outsourcing certain tasks, hiring an inbound marketing agency to do inbound marketing for you, or hiring a coach or consultant to guide you as you do the work. How Do I Know If My Law Firm's Online Marketing Is Working? One of the key benefits of using online marketing to grow your law practice, rather than traditional advertising methods, is that online marketing is measureable. But what statistics should you measure? 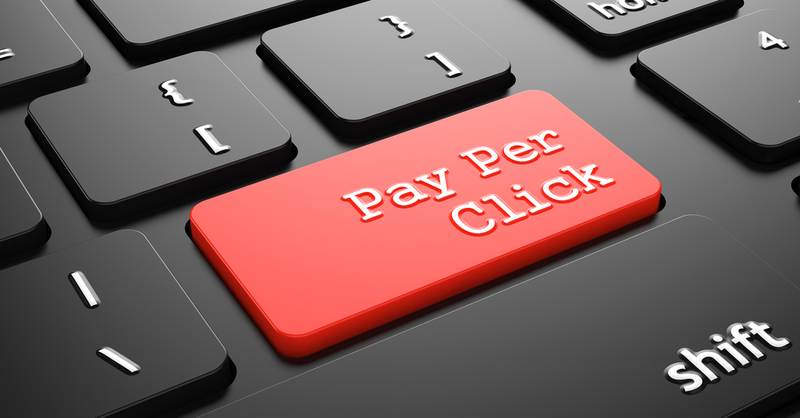 Should You Use Pay-Per-Click Advertising to Promote Your Website? At our agency, we tend to prefer organic ranking over pay-per-click (PPC) advertising for a couple of reasons. 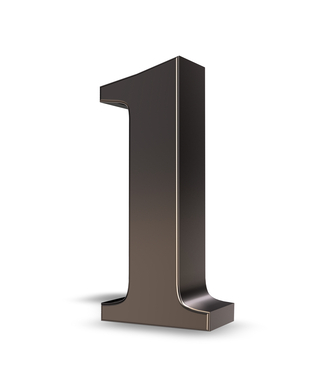 Statistics show that people are more likely to click on organic links than advertisements. PPC advertising does have its merits in some cases, such as a recent product launch where you need to get found immediately and don’t have the time to wait for organic results. PPC ads can also be a great way to test out your keywords before implementing search engine optimization for them; you can figure out which keyword phrases perform better using PPC and then use those phrases in your organic SEO strategy. If you have a professional services or consulting firm, email marketing is one of the most economical ways to promote your services. But a lot of businesses get this wrong, and end up sending self-promotional, boring, and ineffective emails that end up in their potential client's junk folder. Here are our top tips to improve your email marketing results. 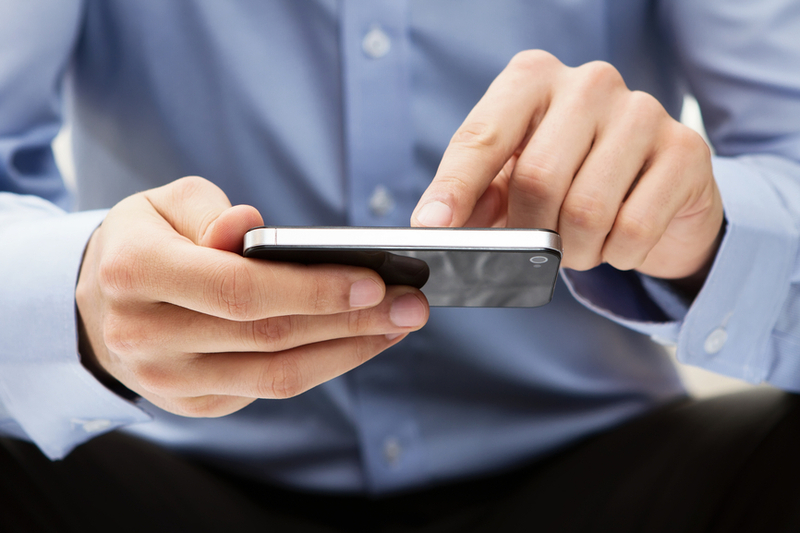 For many of our attorney clients, social media is something they avoid getting into. But it can be a great way to drive traffic to your law firm website, so it's important that you include it in your inbound marketing strategy. 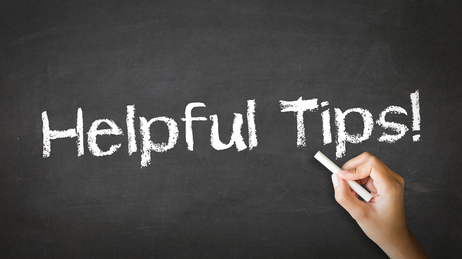 Here are some basic social media tips for law firms who are just getting started. 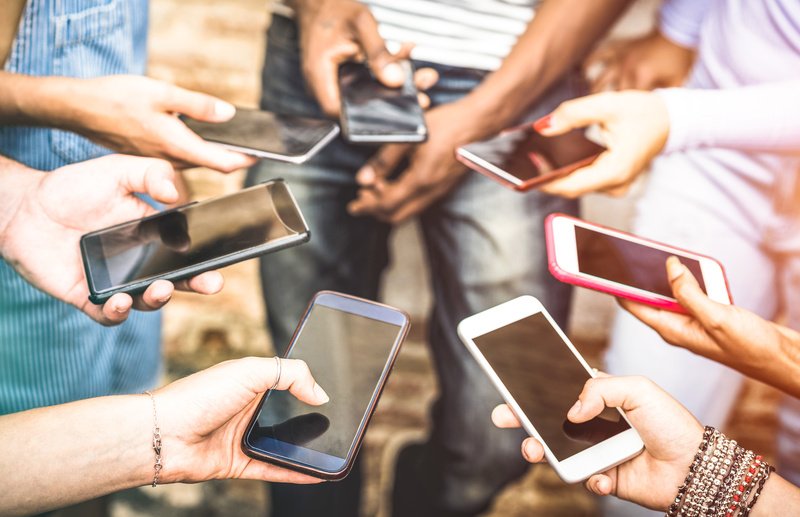 Your initial focus when getting involved with social media should be to build relationships, have conversations, and establish connections. 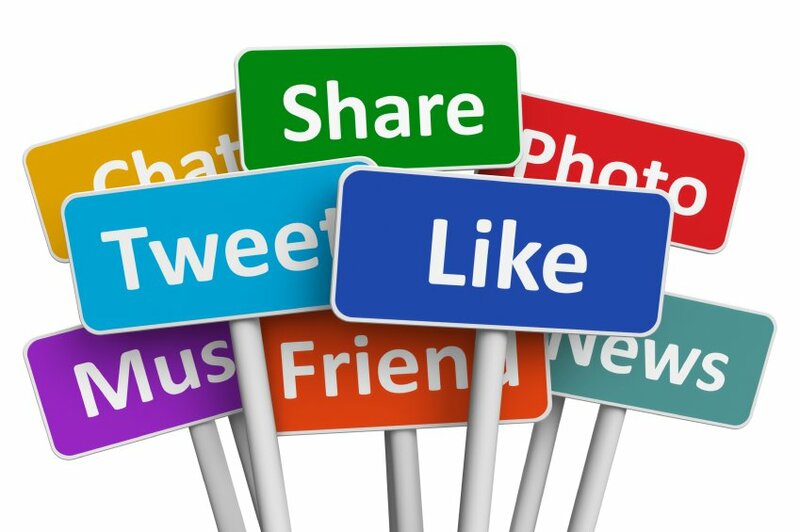 Once you have a following, you can share links to your own content via your social media accounts, in order to drive traffic to your website. 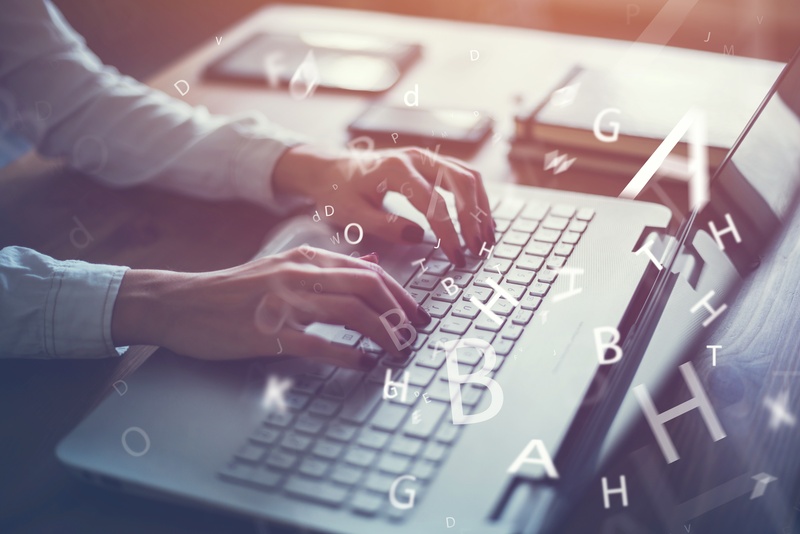 When you post articles to your law firm blog, it is important that you optimize your titles and topics to match the keywords you ideal client persona is searching for on Google or Bing. We recommend you use longer keyword phrases rather than individual key words, as these are usually easier to rank for in search engine results. You will use these keywords in a variety of ways on your site, in your blog, via social media and for your lead generation offers. 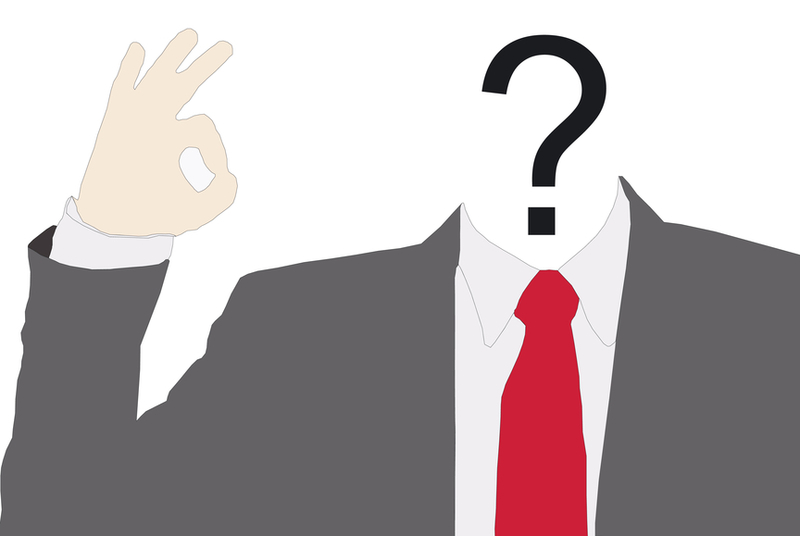 Law Firm Inbound Marketing - Who is Your Ideal Client Persona? Law firm inbound marketing is based on creating great content that will attract your ideal client prospects to your firm. But, it's difficult to develop marketing content to attract ideal clients to your law firm if you don't know who your ideal client is. This is one of the steps lawyers often skip in developing their marketing plans, but it is critical. If you don't have a clear picture of your ideal client and their interests, habits and needs, your email campaigns and blog posts may fall flat. Your marketing materials should be designed to communicate to your ideal client persona, and the more time you invest in developing this upfront, the better results you will see in your marketing. 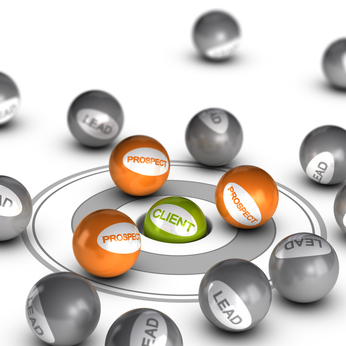 Welcome to our new blog series on law firm inbound marketing. 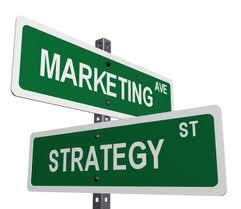 Over the next few weeks, I will be writing about the key elements of your law firm's inbound marketing strategy. If you follow these blog posts you should be able to develop your own inbound marketing plan that will help you achieve your goals. 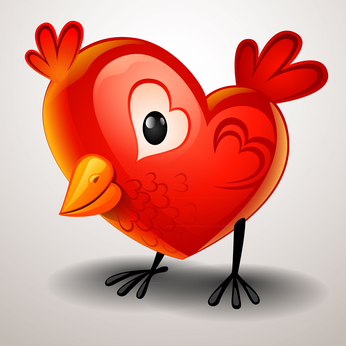 Twitter is can be a powerful social media tool because it creates a personal and trusting relationship with your followers. Social media can only be effective if you have plan and if you are prepared to use your imagination and provide content that is relevant. Before you can develop content, you have to know and understand who you are speaking to and what they want to hear. Developing a buyer persona will help you determine who you need to reach out to and follow on Twitter. 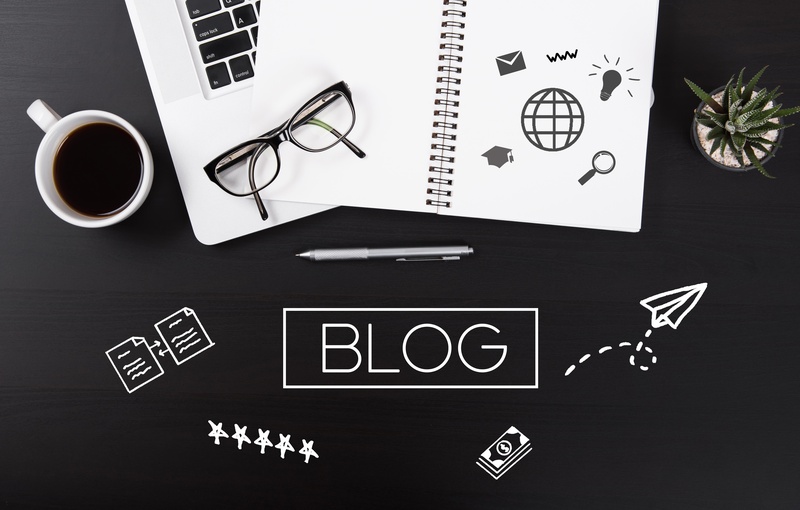 If you've been reading our blog for any length of time, you know that we advocate blogging as a critical element of your online marketing strategy. 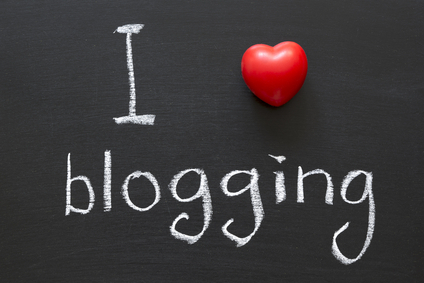 Blogging is absolutely critical to your inbound marketing success. According to data gathered by HubSpot, businesses that blog get 55% more site visitors, 97% more inbound links, and 70% more leads than those who don't. In addition to the SEO benefits, lawyers can also use blogging to position themselves as experts in their field. Here are our top tips on how to launch a law firm blog that will get you more visitors, leads and clients. Professionals and small business owners you are missing out on a great opportunity if you are not optimizing your LinkedIn profile. LinkedIn is a valuable tool to help you gain new business and increase your contact base. Building your profile using key words, understanding your competitors and your ideal buyer can help you stand out. All of the content on LinkedIn is searchable which means a carefully crafted profile that is rich with content and key words is important. 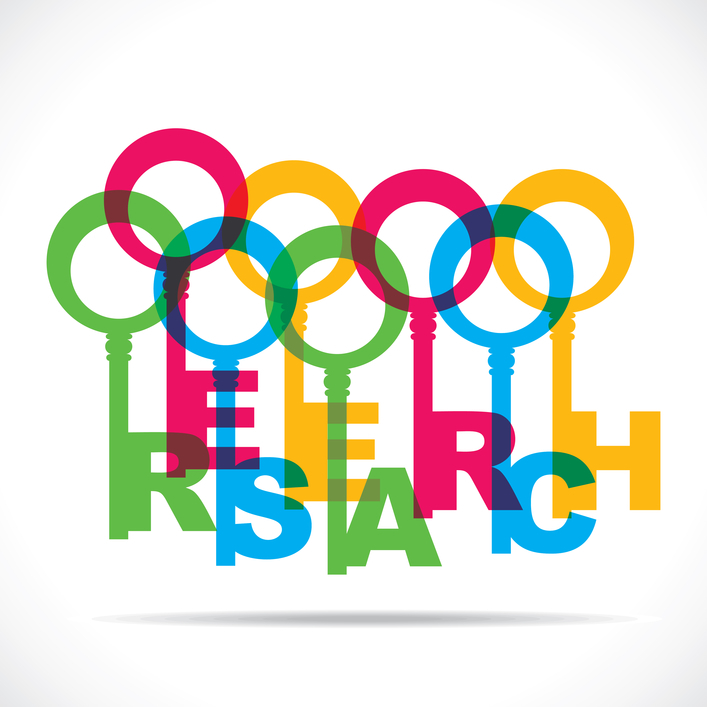 Content is key when you are practicing inbound marketing. Your marketing platform revolves around writing captivating emails, informative blogs and interesting social media posts. Your message is going to circulate around the internet, shared on social media and forwarded in emails. When you create this great information to share, please don’t forget to edit! Editing should be a regular part of your writing process and you should not take it for granted. If you engage in email marketing, it's important to keep a clean email list. While one of your goals is probably to grow your list as large as possible, it is also important that the people on your list are engaging with your emails. It can be better to have a small engaged list than a large list of people who ignore your emails. So here are some tips on how to clean up your email list. 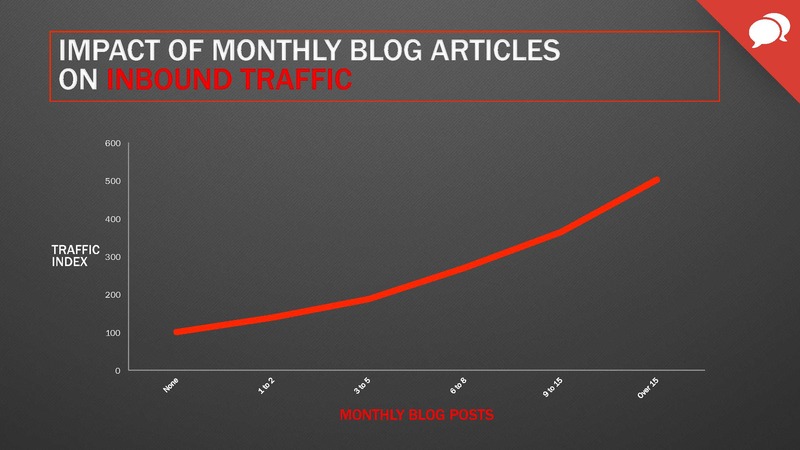 One of the most common questions I get from new inbound marketing clients is how often to blog. The answer depends on your traffic goals, your industry, how competitive your market is, and the amount of time you are able to commit to blogging. To help answer the question, here are some statistics on blogging from a study conducted by HubSpot on 7,000 of its customers in 2013. 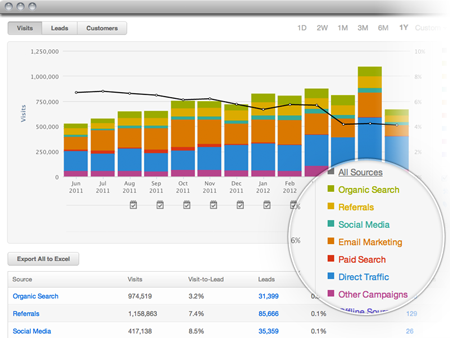 Inbound marketing helps you organize, analyze and take control of your electronic marketing. 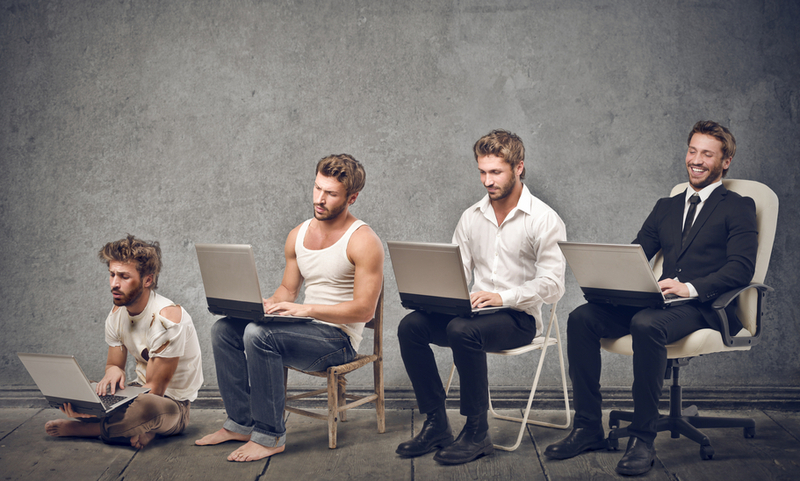 Blogging is the cornerstone of your inbound marketingstrategy. Without great content, it's hard to attract traffic, so you need to blog. But, if your content isn’t great, then no one is going to pay attention to your blog. 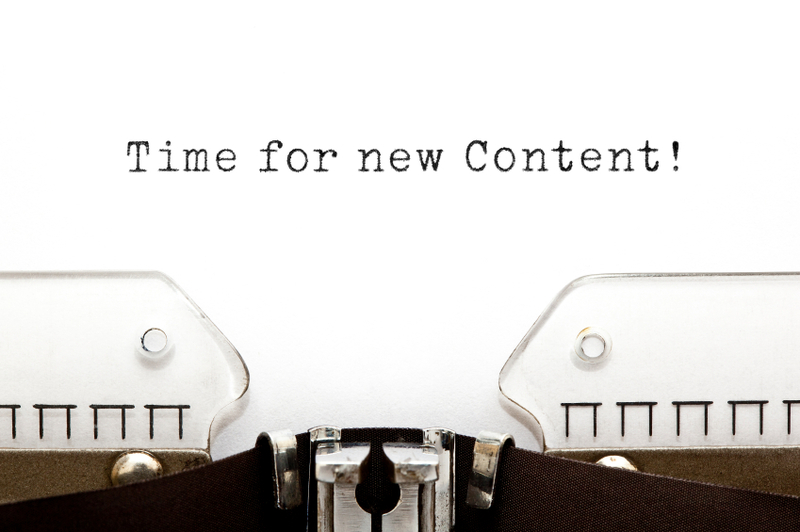 There are several ways to develop content that your clients and potential clients will love. Are you looking for ways to bring customers to you, obtain information about those customers and prove yourself to be an authority in your industry? All of this can be accomplished by using eBooks. eBooks let you provide your customers with information and value that is important to them. This blog post will show you how eBooks help your business generate leads. 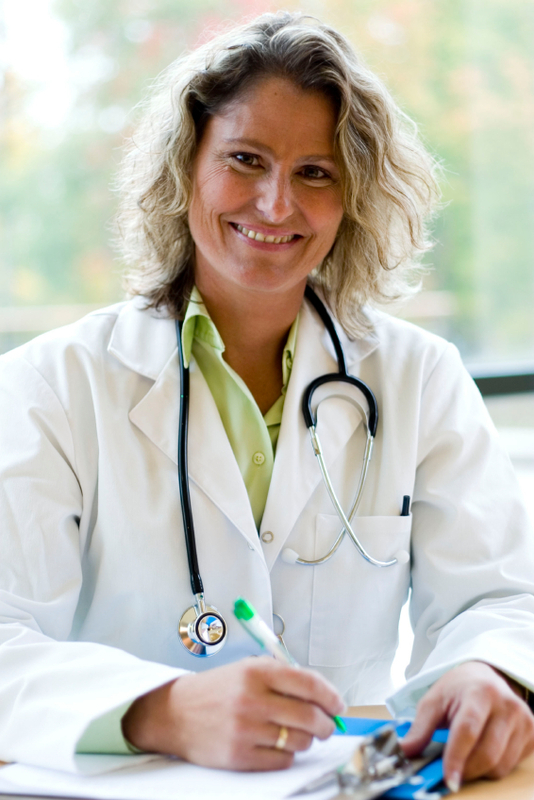 Can creating informative content promote your medical practice to prospective patients? We think so. Instead of using outbound advertising to promote your medical practice, such as TV or print ads, inbound marketing allows you to attract patients to you by providing useful content that they want to consume. You know your prospective patients are on the internet researching their symptoms and possible remedies before they ever call your office. Your inbound marketing campaign is designed to place your content in their path so they will want to come to your website and sign up for your emails. As you communicate with them over time, they will see you as a trusted source of information and that should motivate them to choose you over other medical professionals in your area. 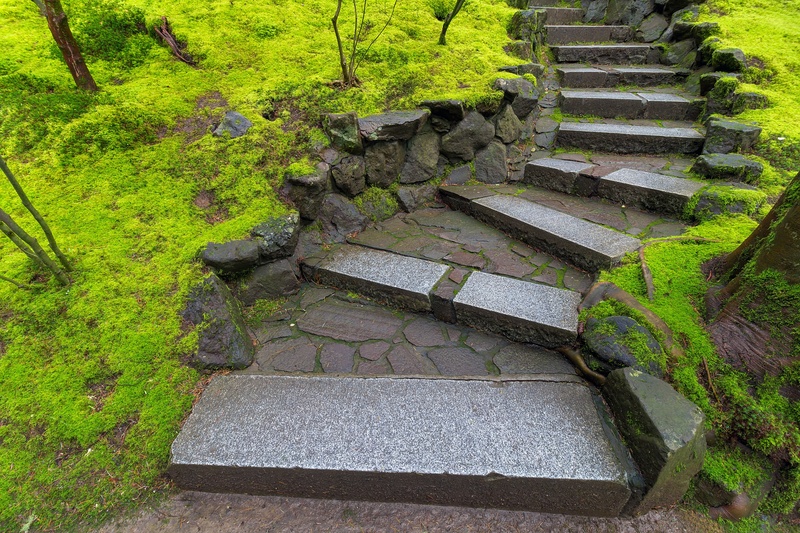 Here are five steps you can take to grow your medical practice with inbound marketing. In today’s society, “Data Overload” is a very real thing. There are so many ways to use social media marketing to help get your business’ name out into the world. 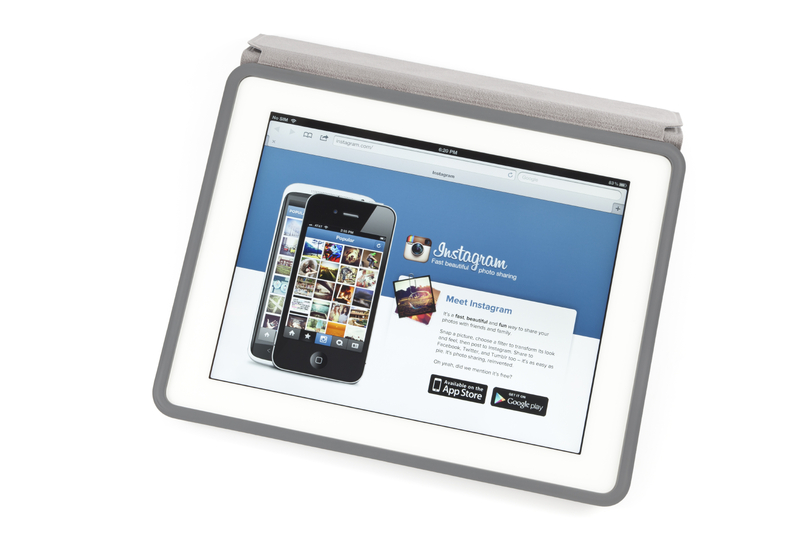 Instagram is just one of the many, but it can also be one of the more challenging channels to create content for. Instagram is mainly used by the Millennial Generation, and even if you feel that your company or business does not directly adhere to Gen Y, having an Instagram account still gets your name and product out there for people to know you and what you are all about. How to Create an Email Newsletter Your Subscribers Will Love! 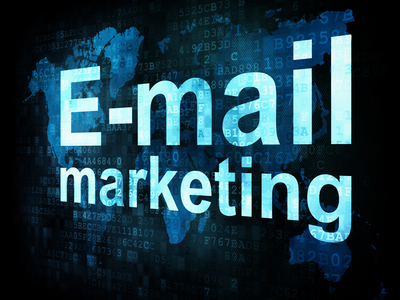 Email remains one of the most affordable ways to market your business online. For some businesses, an email newsletter is a great way to stay in touch with prospects, nurture existing customers and promote new products or services. If you send your email newsletter on a consistent schedule, your subscribers will begin to look forward to it, which builds brand awareness and keeps you top of mind. Your newsletter can help you re-purpose content you have already created, such as blog posts, and drive subscribers back to your website where you can engage them with other company content. 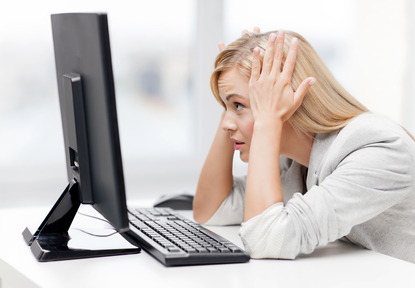 Is your LinkedIn Profile working for you? Here are some tips that will show you how to make the most of your LinkedIn profile. Make sure your profile is complete. LinkedIn is the online resume of social marketing, and many people find new jobs and clients using LinkedIn, so make sure your profile is accurate and complete. Today's online social networks are becoming more popular, but the smartest business owners know that sometimes you have to get out from behind the computer and network face to face. For many of my clients, referral marketing and networking remain an important aspect of their marketing plan, even as they implement blogging, social media and email marketing to grow their businesses. Is your website designed to convert visitors into leads? When I do inbound marketing assessments for prospective clients, this is one of the most common issues I find. A website should not only look great and reflect your brand image; it should also help you increase your sales. Read on to learn how to create a lead generation system for your website. Pepper Inbound Marketing is proud to announce that we are now a HootSuite Solution Partner. We are excited about this partnership which allows us to improve the social media marketing services we provide to our clients. If you want to attract lots of visitors to your website, you are going to need great content. Read on for how to create great website content. Do you know your website's bounce rate? Bounce rate is the percentage of visitors who just visit one page of your website before leaving your site. For most websites, this averages between 30-60% and a high bounce rate tells you that the content on your website is not keeping your visitors engaged. High bounce rates may be the result of uninteresting copy, an unattractive design, or a confusing website layout. Read on below to learn how to reduce your website bounce rate. If you are like most of my small business clients, you have a pretty nice website already. But are you getting a return on investment on the thousands of dollars you spent on it? A website is of little use if it doesn't help you get leads and customers, and a lack of traffic could be due to numerous factors. 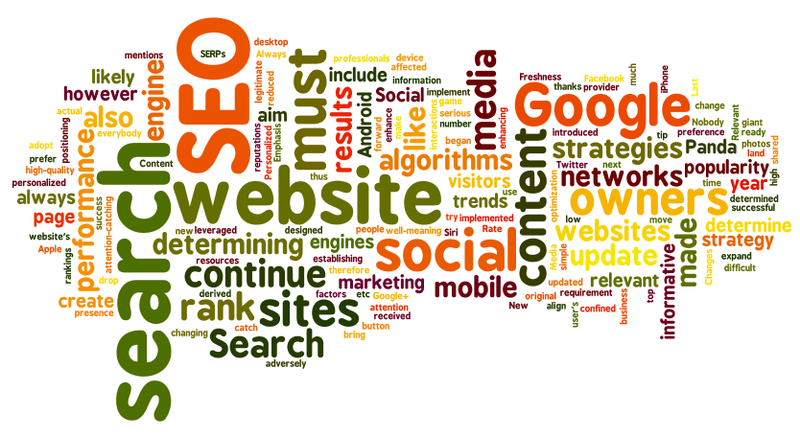 One of the first areas I look at when assessing a potential client's website is SEO optimization. 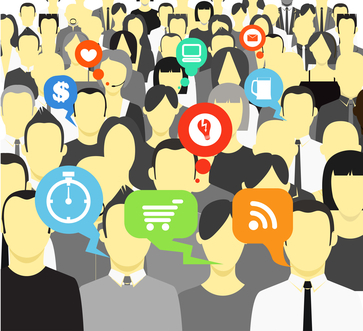 Everyone seems to want to get in on social media marketing, but do they know why? 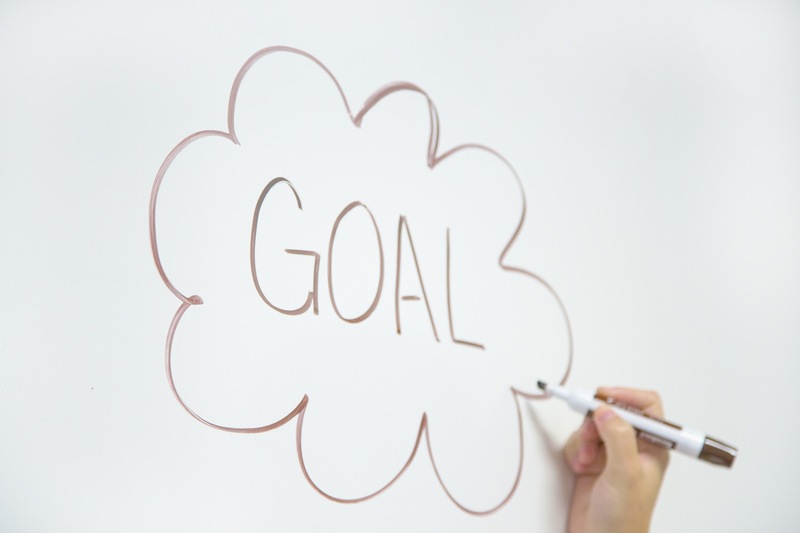 Before investing time and resources into social media, it is important to set clear and specific goals around measurable outcomes. Social media usually doesn't work in a vacuum, it is simply one element of your online marketing plan and can help amplify the effects of your other activities by driving traffic to your website, promoting offers, or helping you build social engagement with your customer base. Everyone is excited about social media marketing these days. But how do you know if it is paying off? Here's how to measure social media marketing ROI (Return on Investment). Social media doesn’t sleep, but you can if you use a social media tool that allows you to schedule your posts in advance. Geographic targeting is critical for businesses with a local focus, such as spas or restaurants, but can also be important if you have a national market, since your customers in different regions may have different needs, speak different languages or follow different trends. 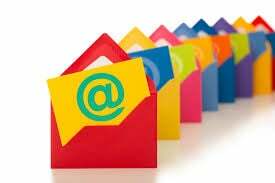 For many small business, email is one of the most powerful marketing channels at their disposal. Email, when used properly, allows you to reach your audience with a targeted message at a tiny fraction of the cost of traditional advertising. Here are 12 email marketing best practices you can implement to make sure your emails get great results. 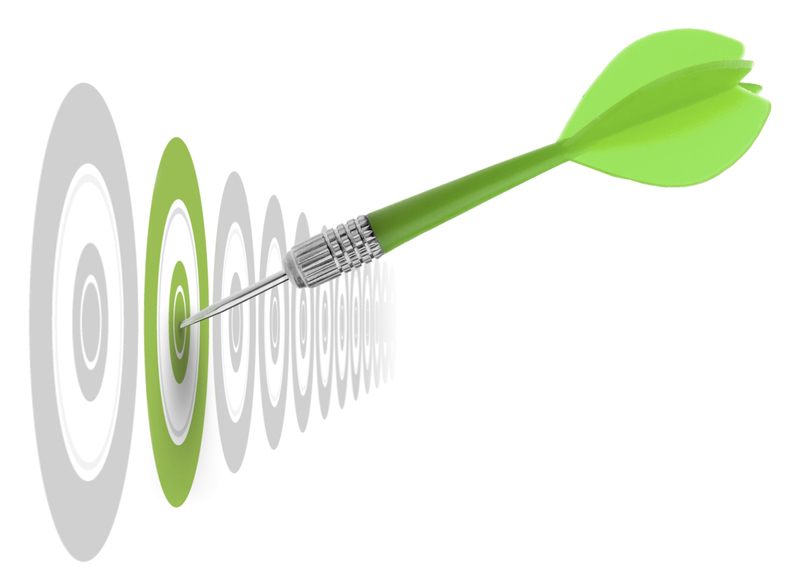 Do you wish your law firm website generated more leads? Investing in inbound marketing can pay off in increased traffic, leads and clients. But to get the best results from online content marketing, you need to devote at least 5-10 hours per week to your online marketing activities. If you are like most of the solo attorneys I know, you don't have an extra ten hours per week. So I designed this pared down 5-Hour-Per-Week Solo Attorney Online Marketing Plan just for attorneys like you. 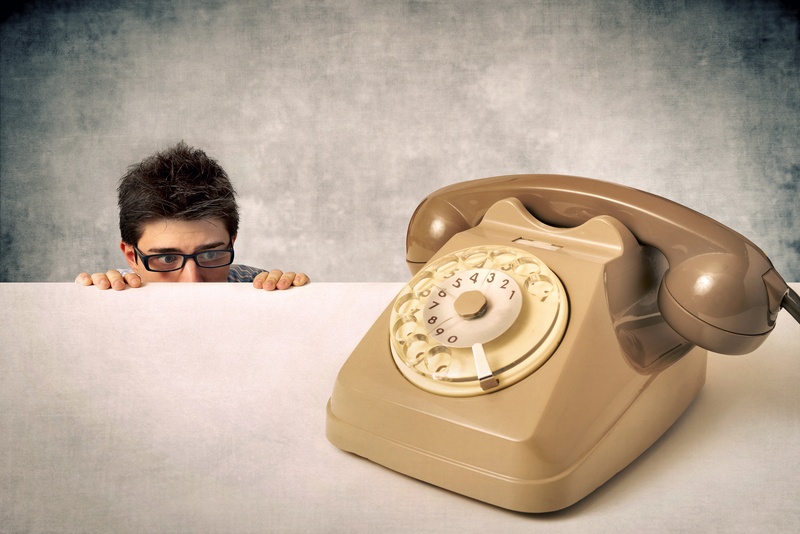 Your website visitors can't find your phone number. Put your phone number on your home page and set up a Contact Us page accessible from your site's main menu with your other contact details. You can also use the page footer area to make it easy for customers and prospects to find you. When I am not implementing inbound marketing campaigns for my clients, I run Roux Wine Tours, a small travel agency specializing in wine and food vacations. I had always been taught since my very first experience in online marketing that it is important to touch your prospects with some sort of communication frequently, and that a weekly email newsletter was a great way to do this. Lots of online marketing gurus teach this, and the weekly ezine is ubiquitous in the world of marketing. 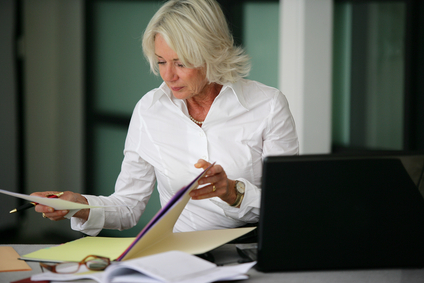 Estate planning can be a very rewarding area of law practice, but it can sometimes be challenging to find clients. Most successful estate planning attorneys spend a lot of money, time and energy on marketing activities including referral marketing with financial advisors, seminar marketing, direct mail, and online marketing. 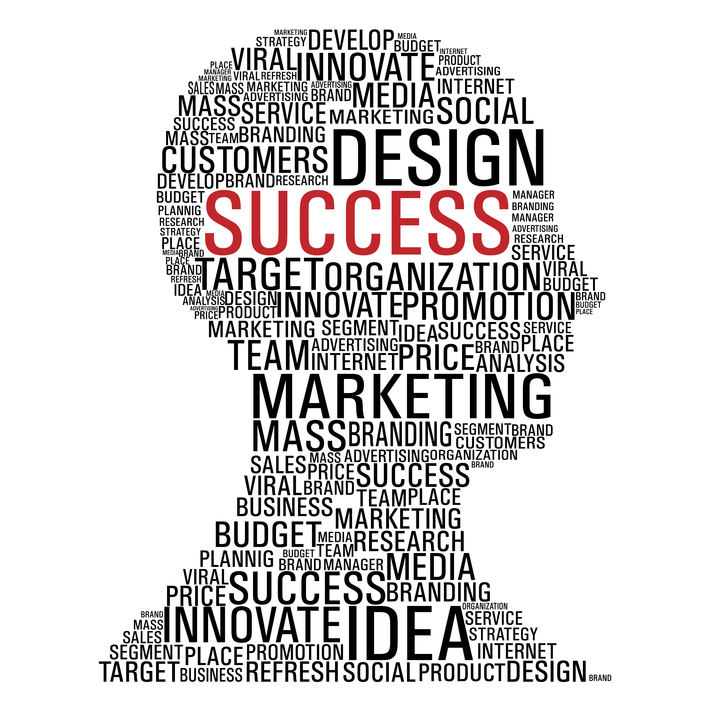 As a marketing consultant, I help small businesses and professionals with inbound marketing. What I see over and over, is businesses who spend thousands of dollars on a custom web design. If they hired a good web designer, the site is beautiful. But as months go by, the business owner wonders why he isn't getting any leads. 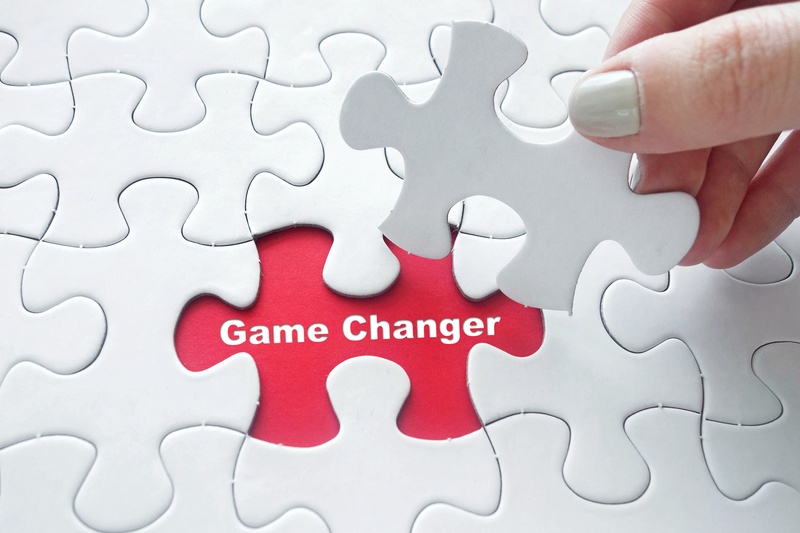 As a former estate planning lawyer, I understand the challenge attorneys face in attracting new clients to their law practices. One of the best ways to attract clients and establish yourself as an expert in your practice area is through the use of inbound marketing. 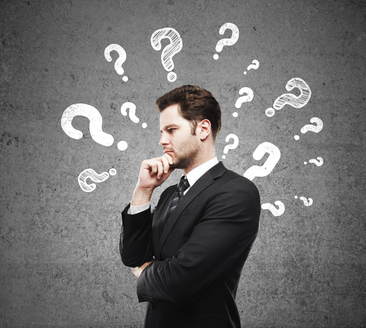 But how do you set up an inbound marketing campaign? As an attorney, you get lots of pitches from different organizations that claim that they have the magic trick that is going to help you attract all the clients you need for your law firm to thrive. I know this because as a licensed attorney, I still get those pitches too, even though I no longer practice law. Inbound marketing can help to turn your law firm website into a lead generation machine, but it takes time, money and effort to build up traffic and perfect your lead conversion. I love inbound marketing. I have seen time and time again how education based marketing combined with blogging, social media engagement, calls to action and landing pages can turn a static traditional website into a lead generation machine. But as much as I belive in inbound marketing, I don't think a business can thrive by inbound marketing alone. 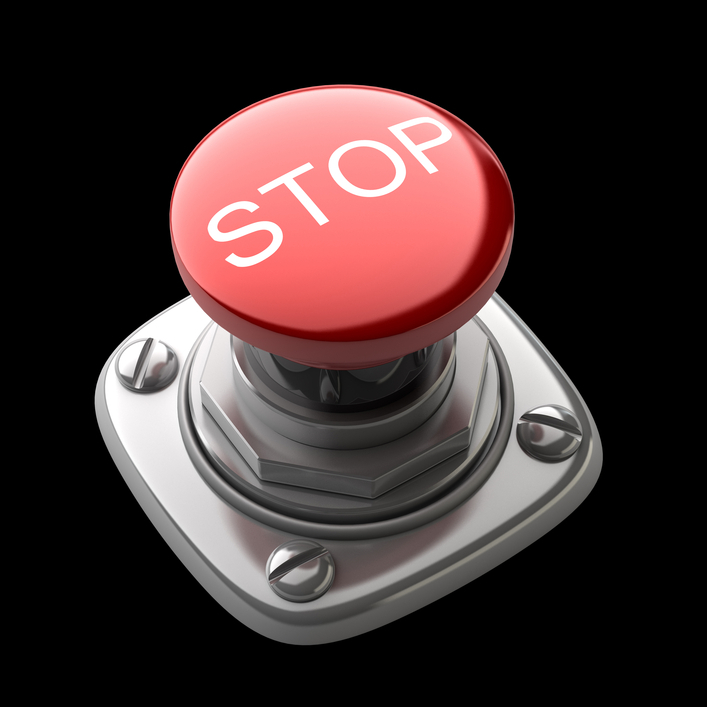 One of the most common complaints I hear from my clients is that their websites don't bring in leads. They look pretty, and have great design elements, but do nothing to drive traffic and leads to the business. It doesn't seem to matter if the website is $2,000 or $12,000, I see this over and over in my consulting practice. So how do you fix it? Here's a list of 10 steps to turn your lackluster website into a powerful one that generates leads. Inbound marketing is a style of marketing that focuses on creating quality content that attracts people to your company and its services. By aligning the content you publish with your customer’s interests, you naturally attract inbound traffic that you can convert, close, and delight.